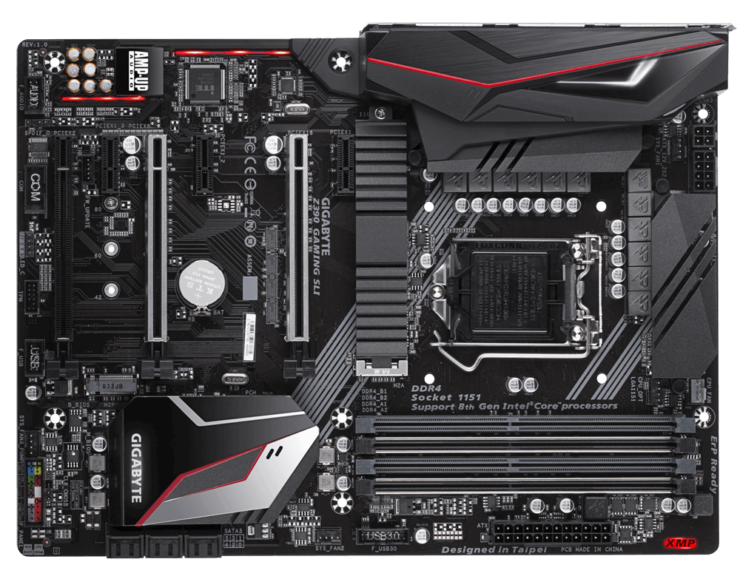 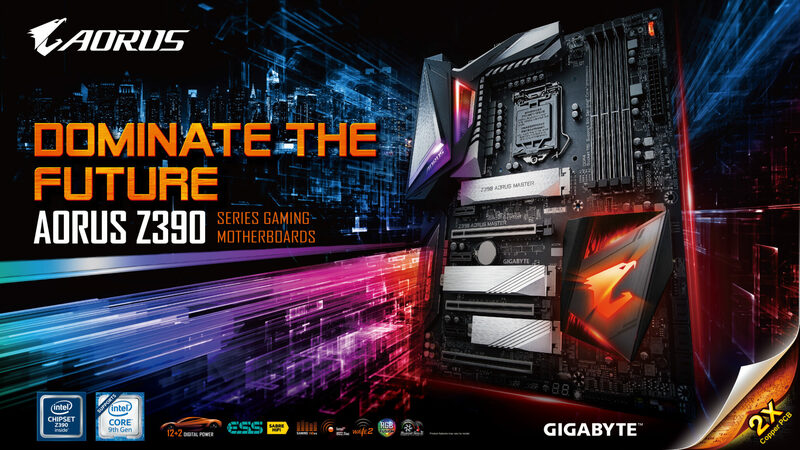 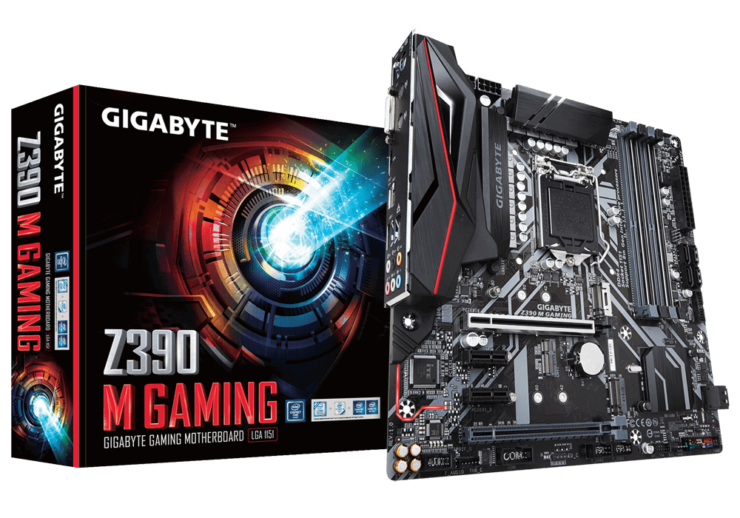 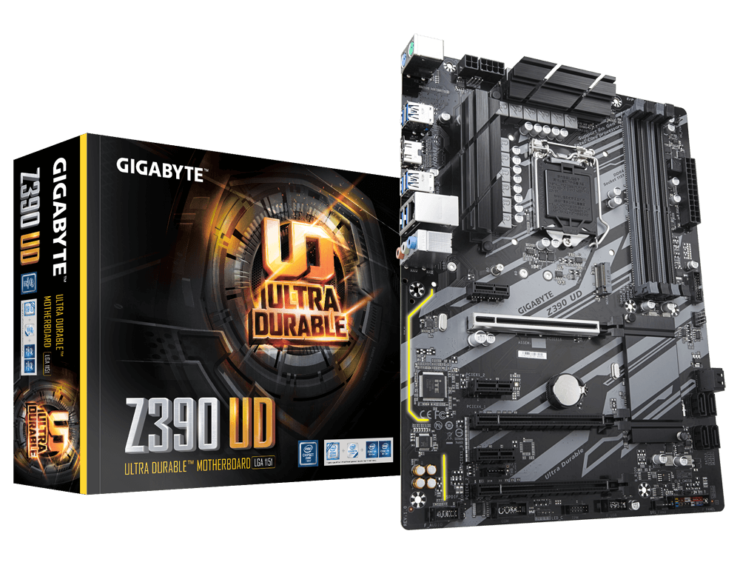 Gigabyte & AORUS have announced the launch of their next generation Z390 motherboards which will be powering Intel’s 9th Generation Core processor lineup. 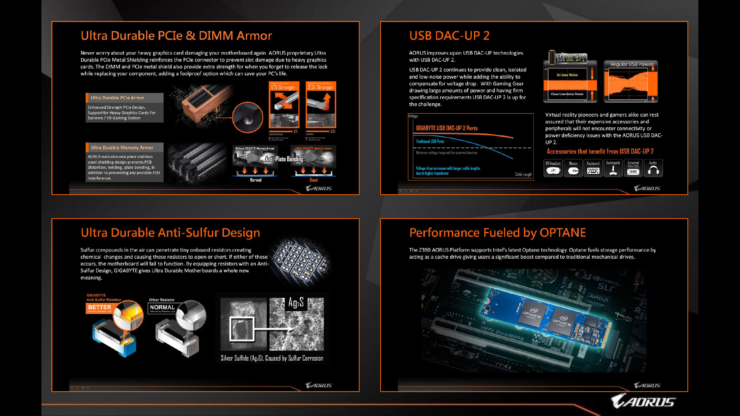 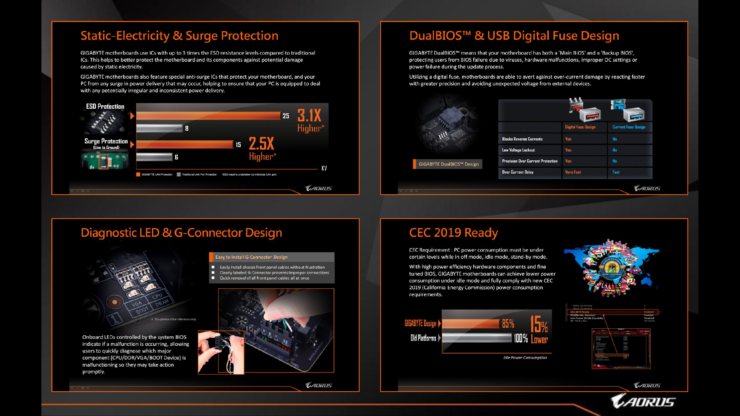 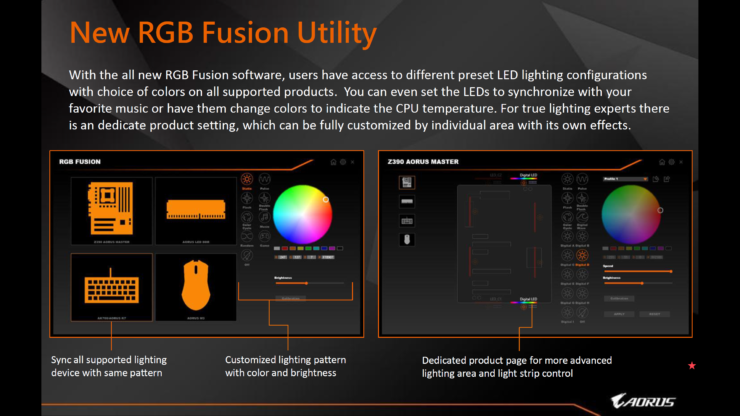 The new boards will be jam-packed with a range of new features and stunning new designs, especially on the AORUS boards which will offer a great upgrade path to users who are looking forward to upgrading their 2 to 3-year-old PCs. 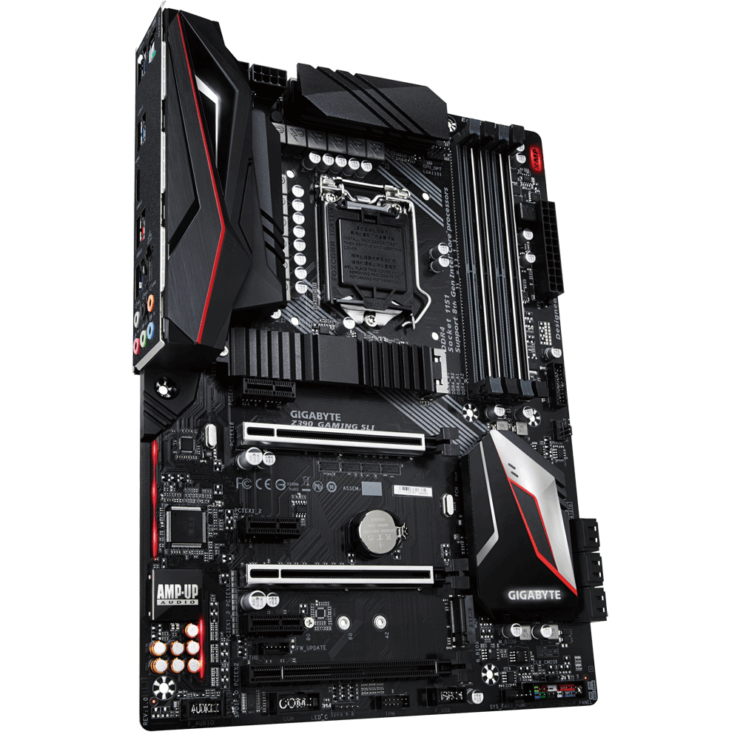 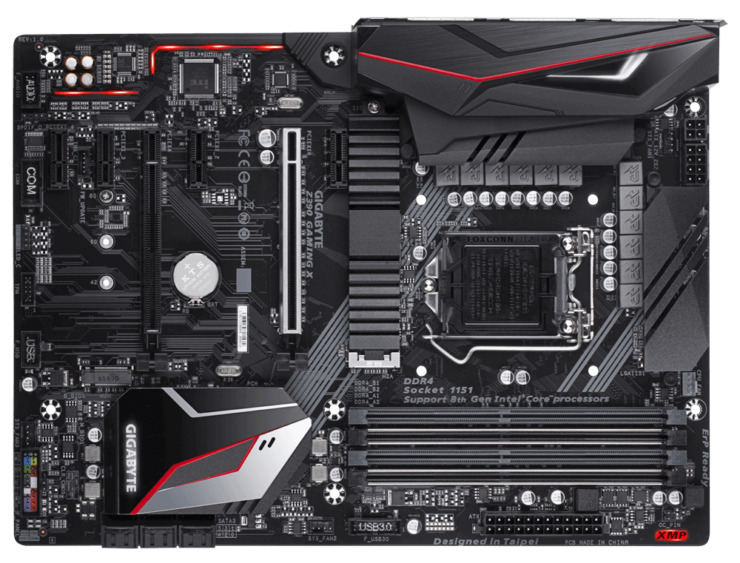 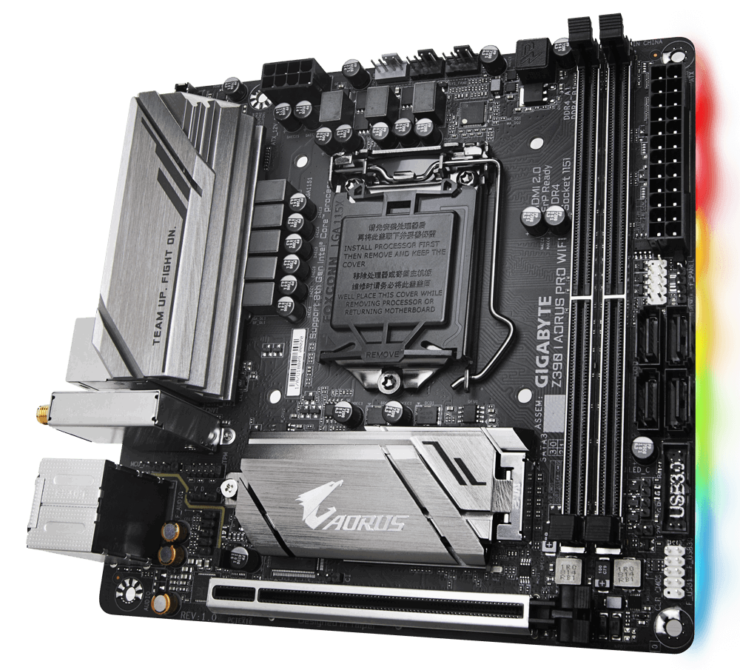 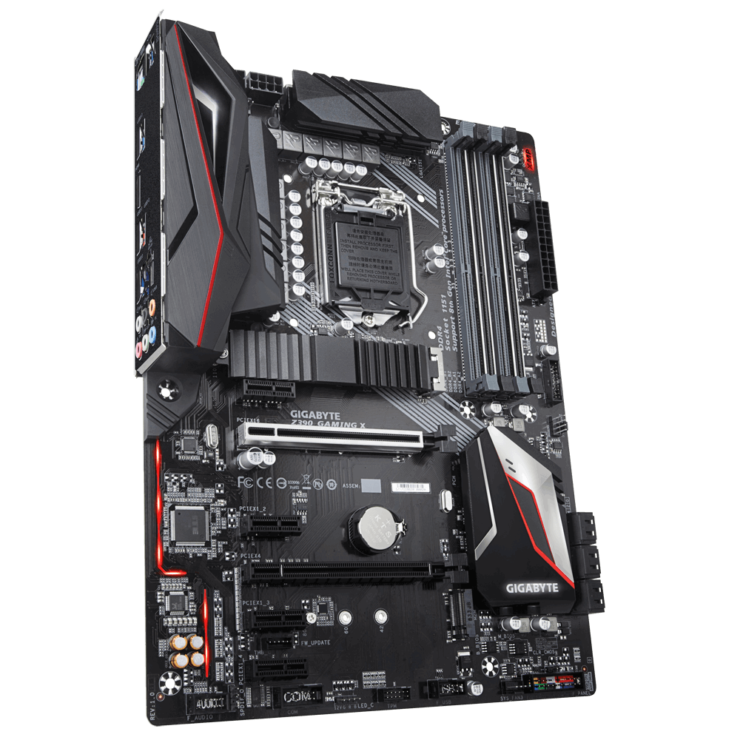 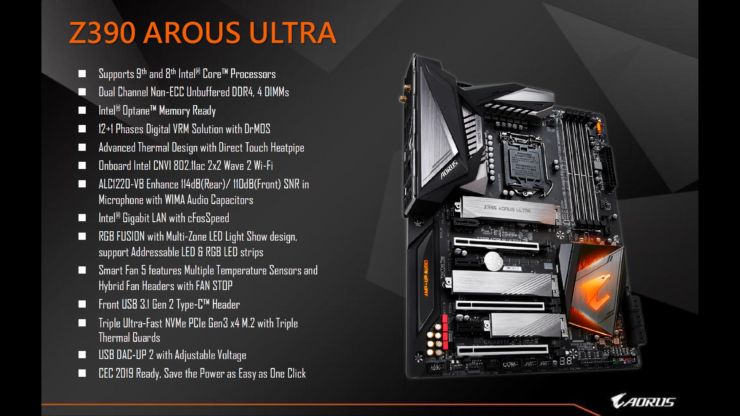 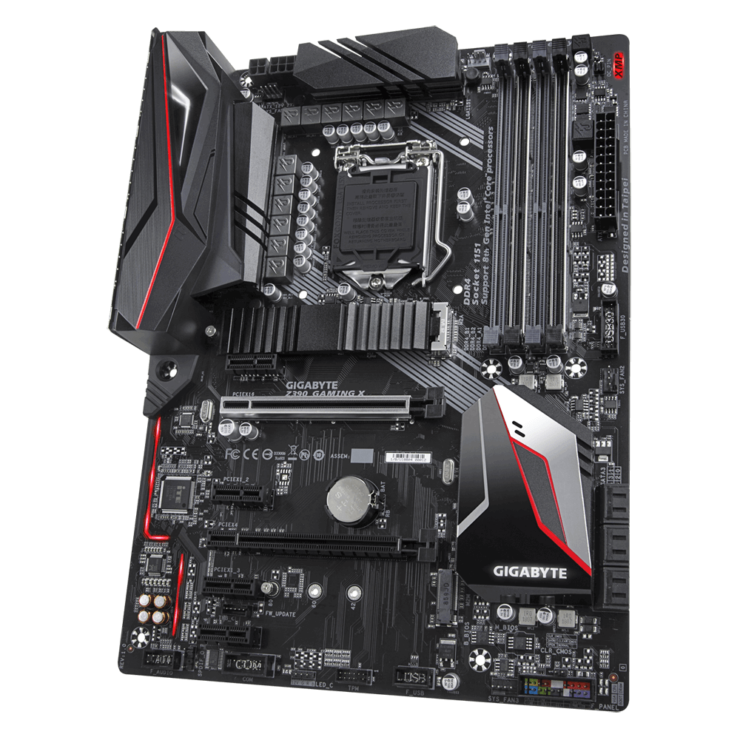 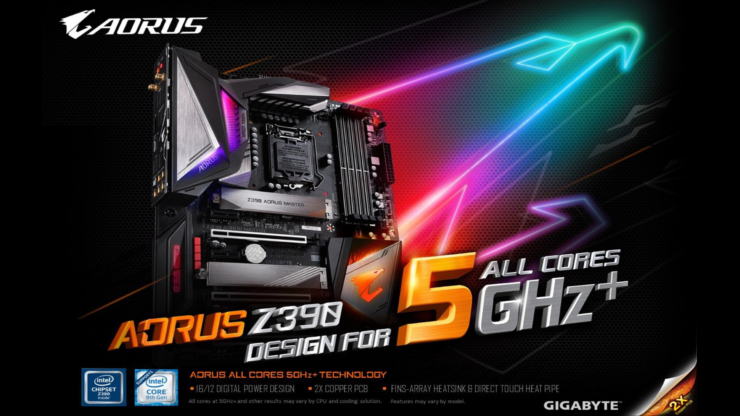 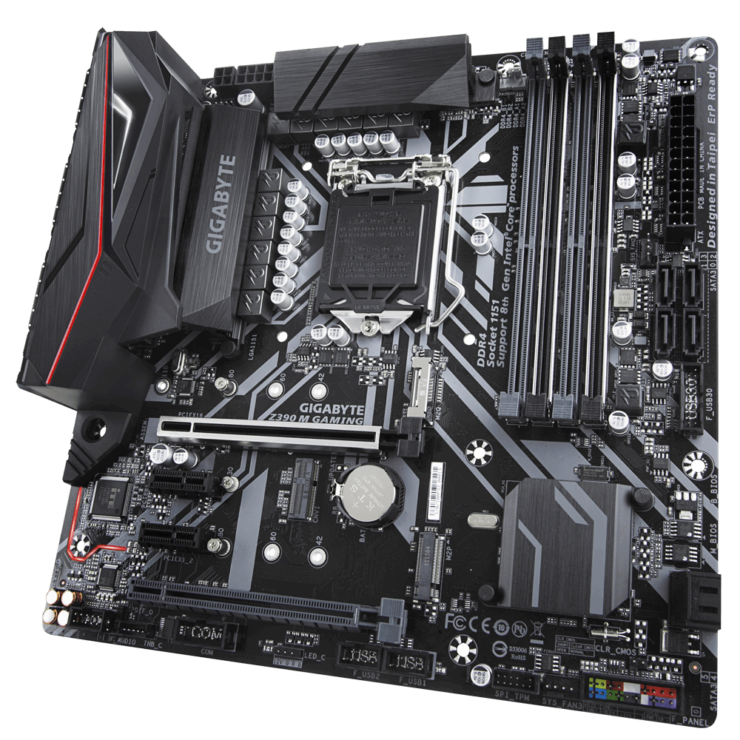 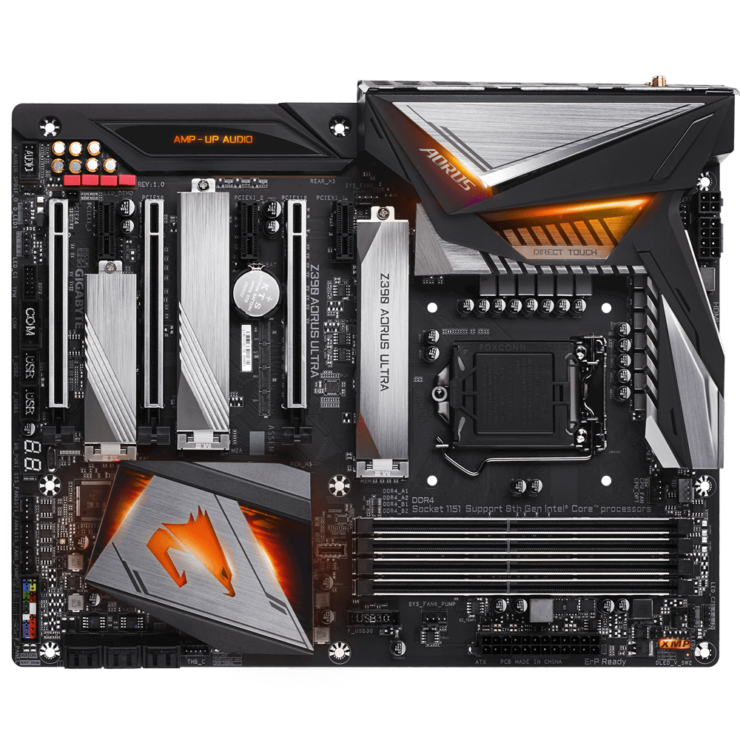 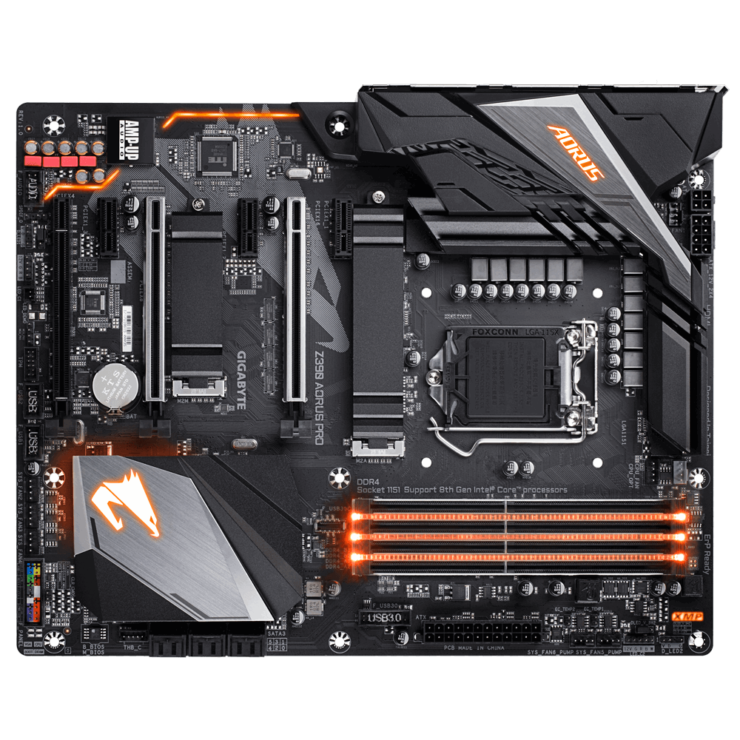 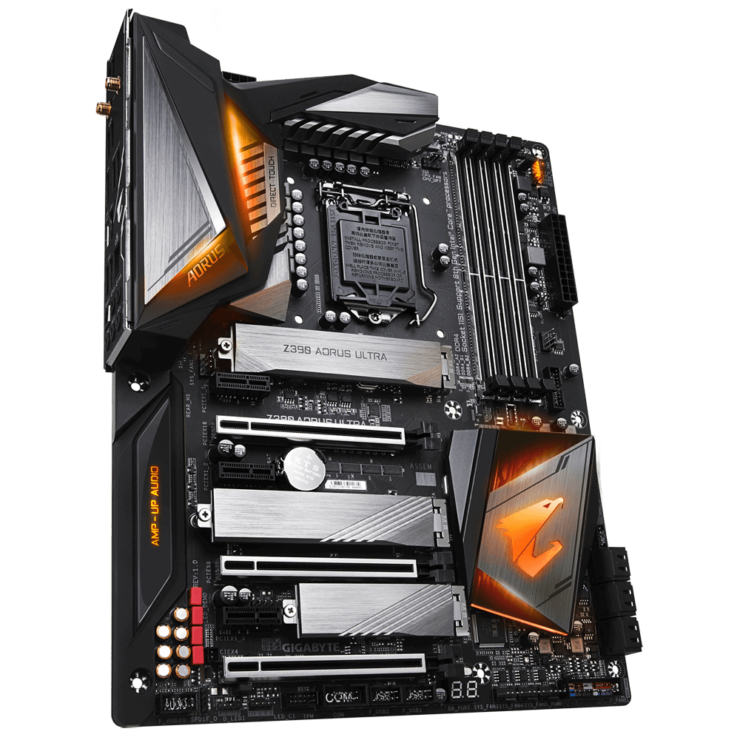 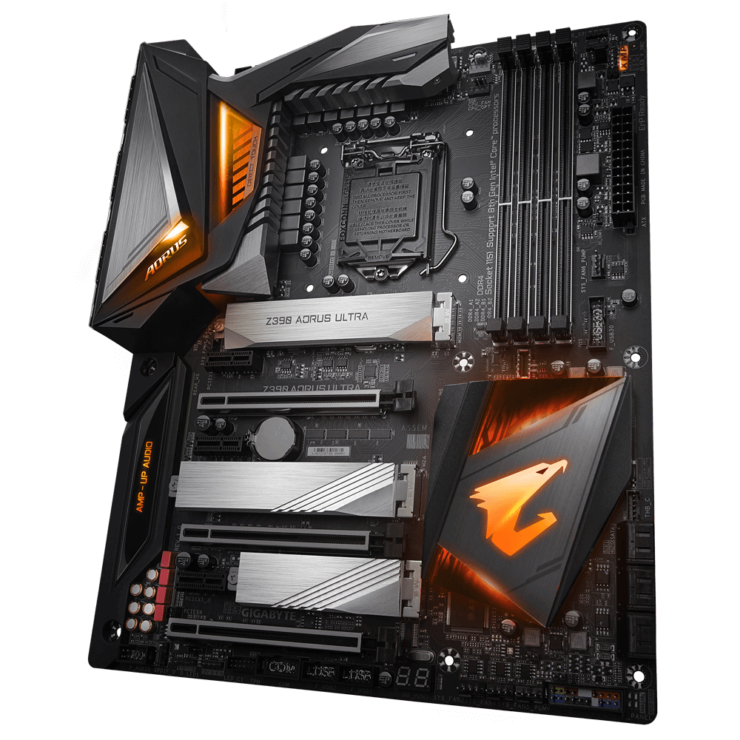 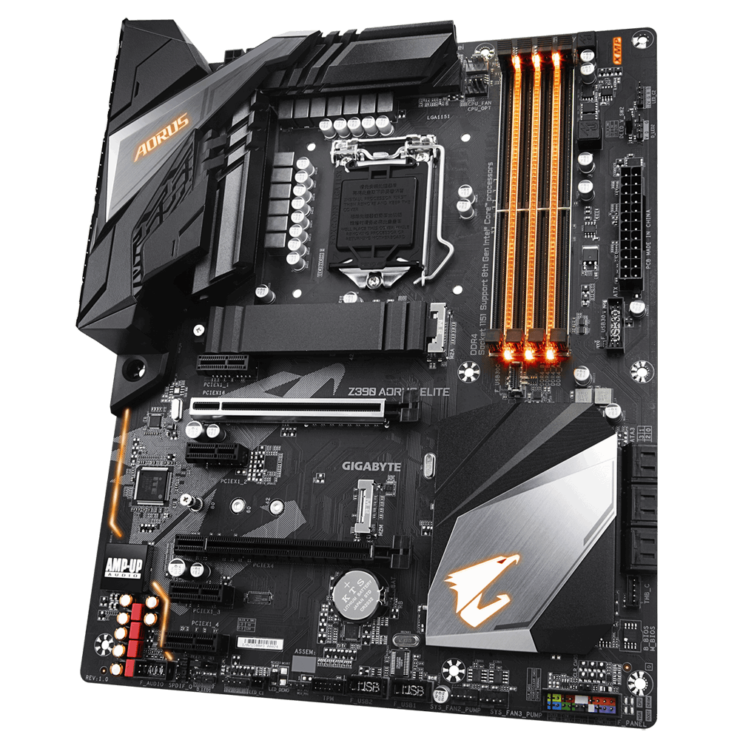 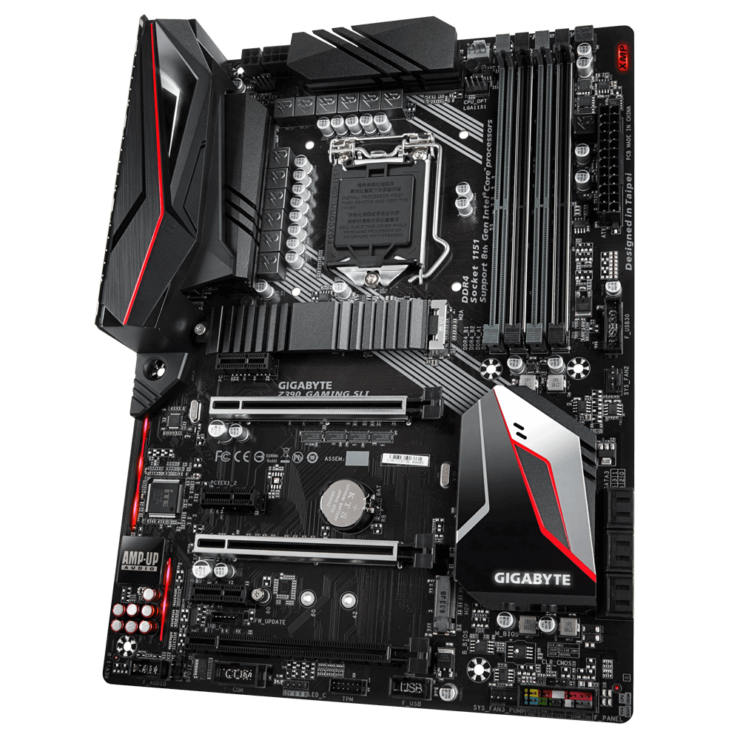 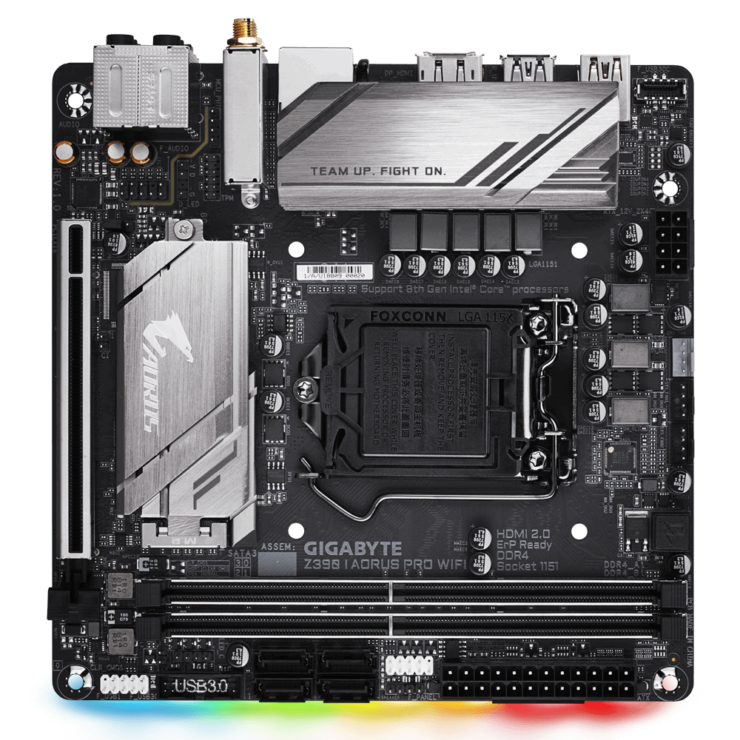 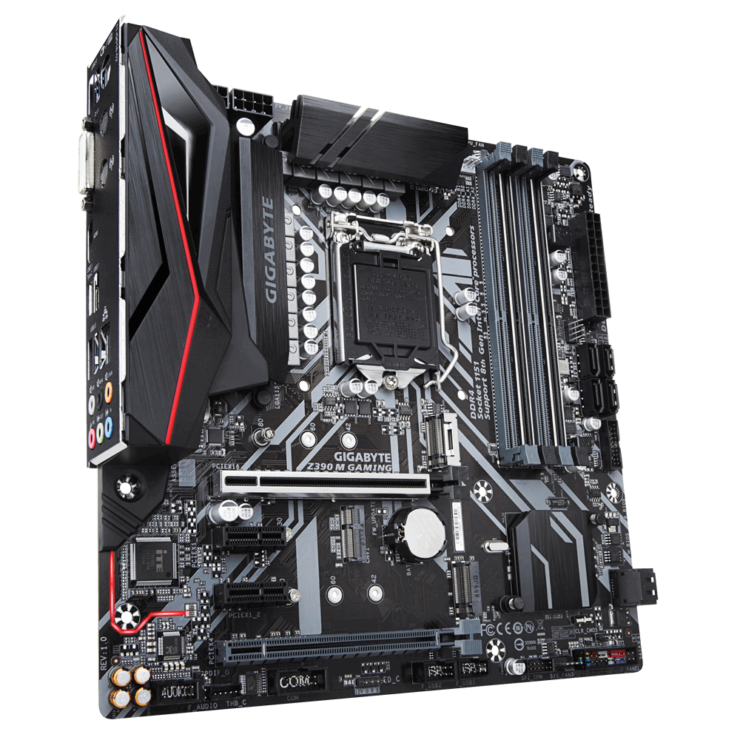 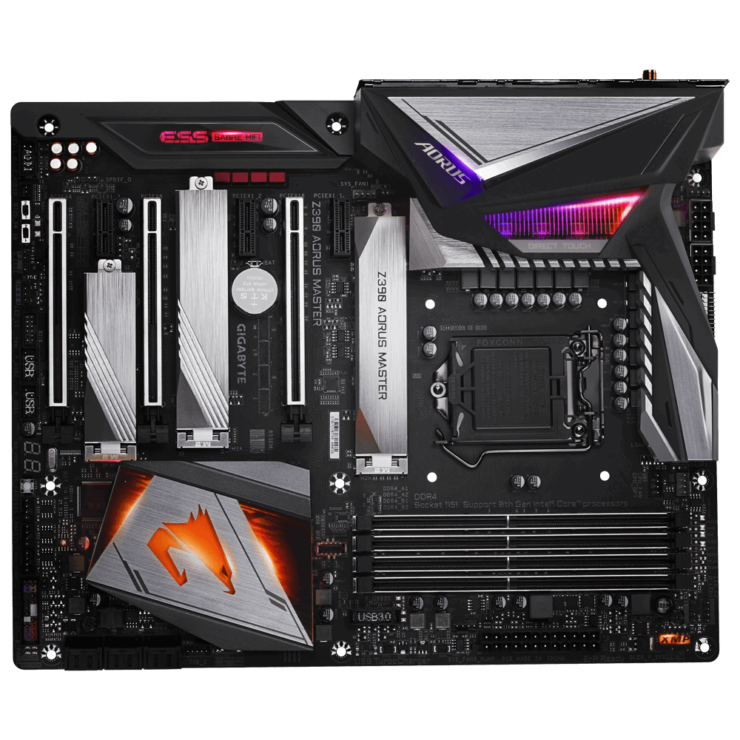 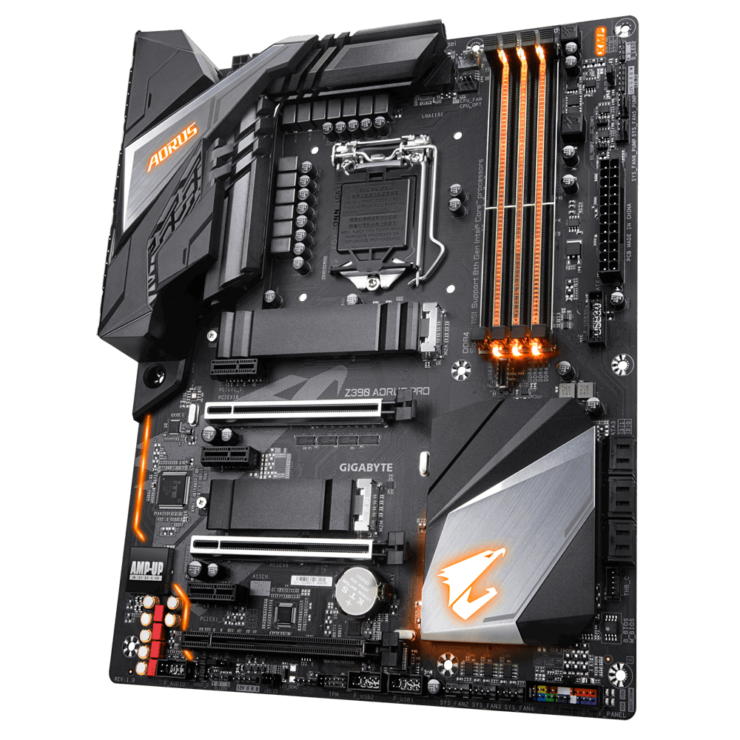 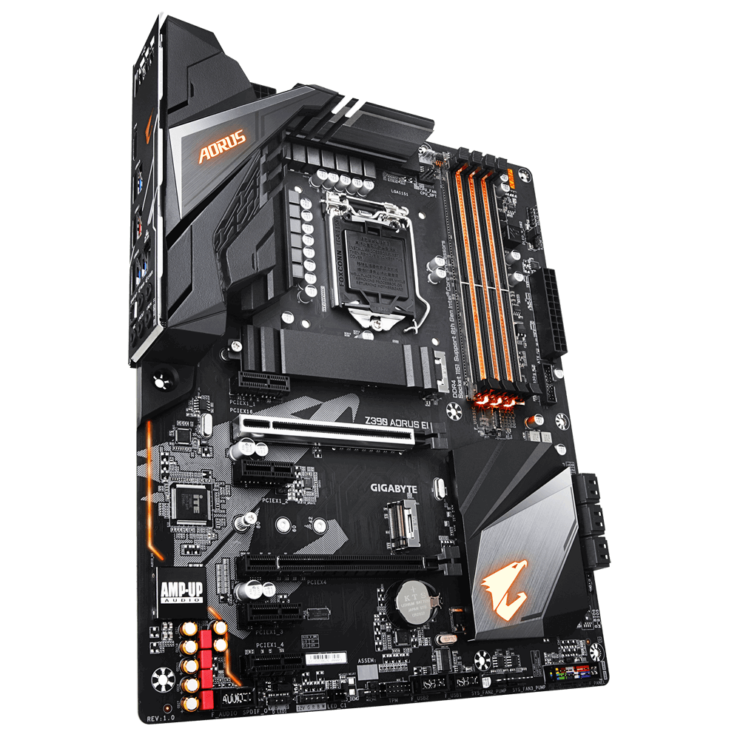 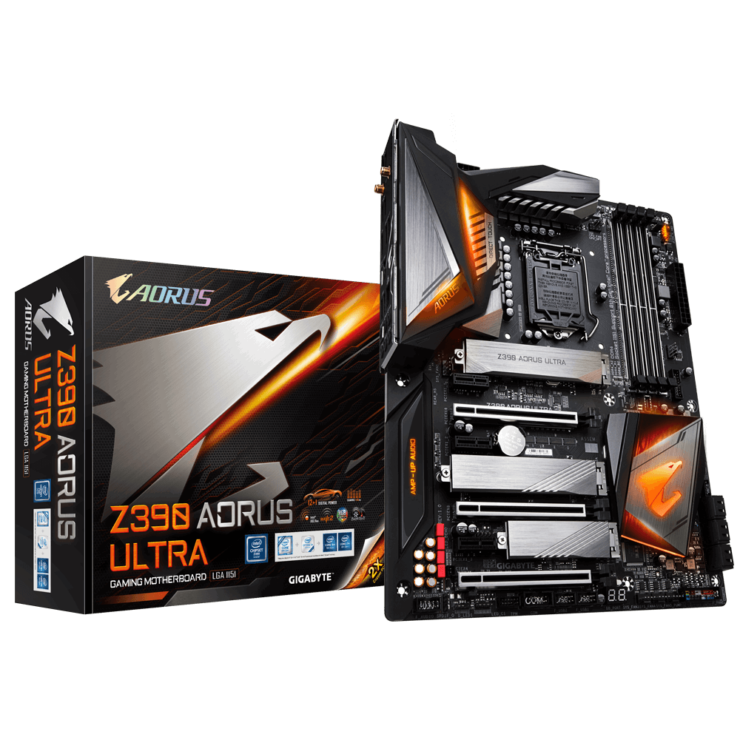 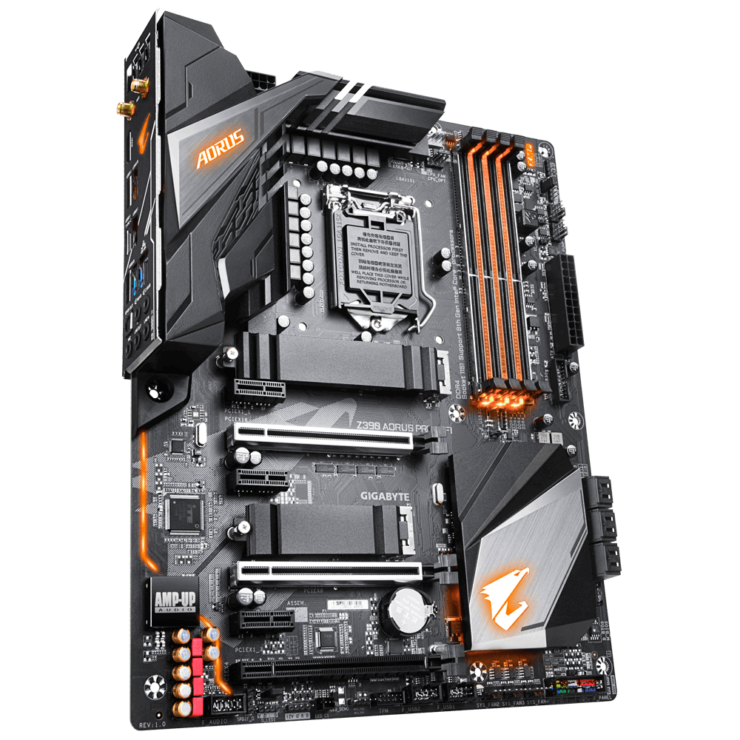 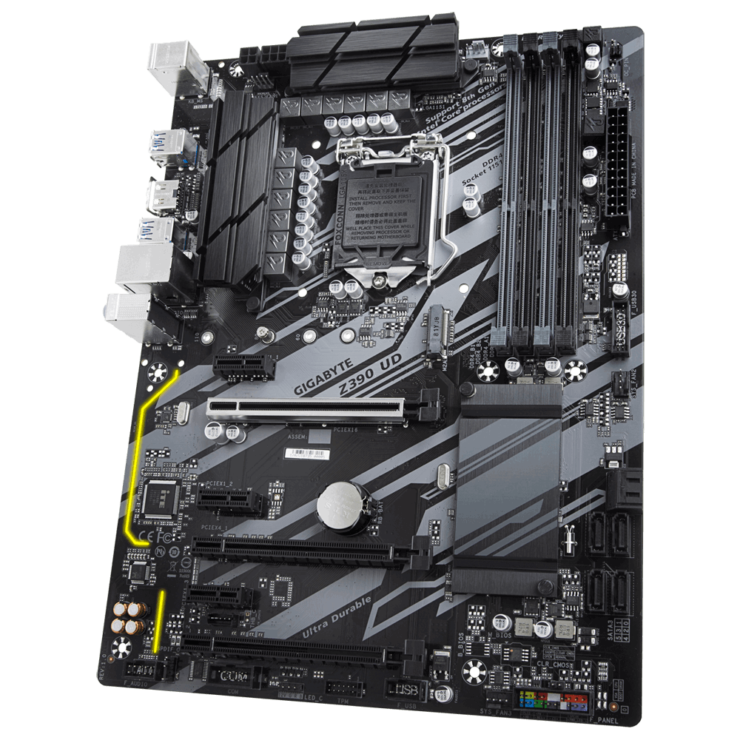 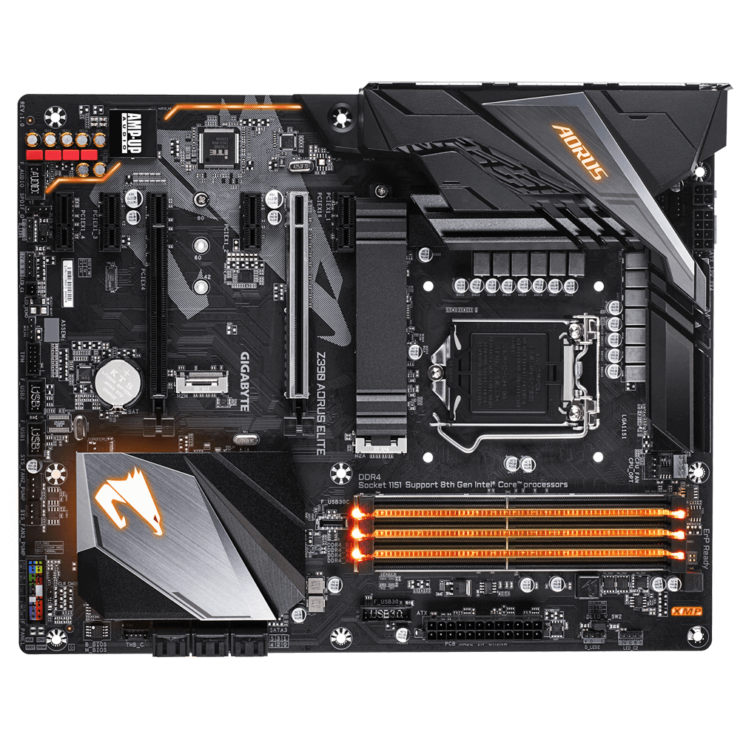 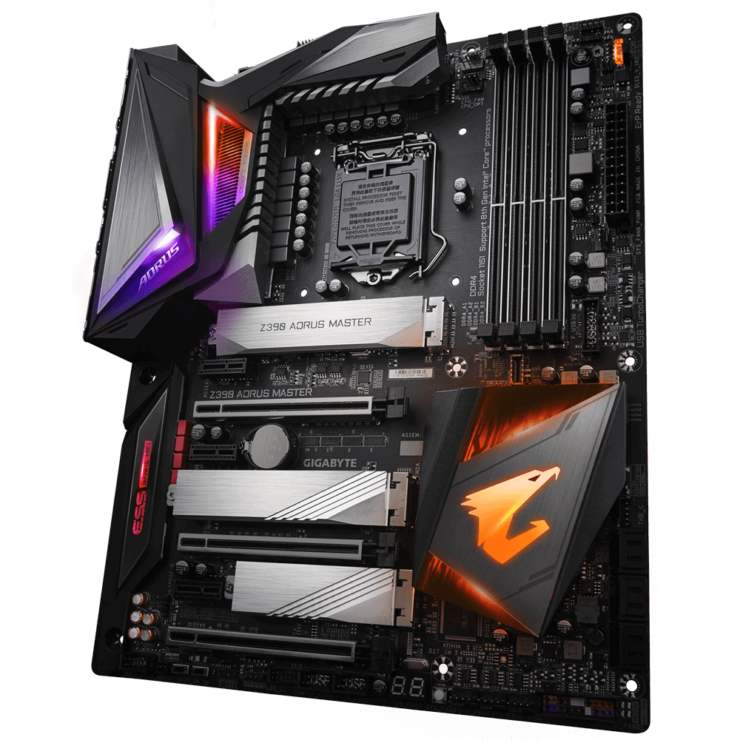 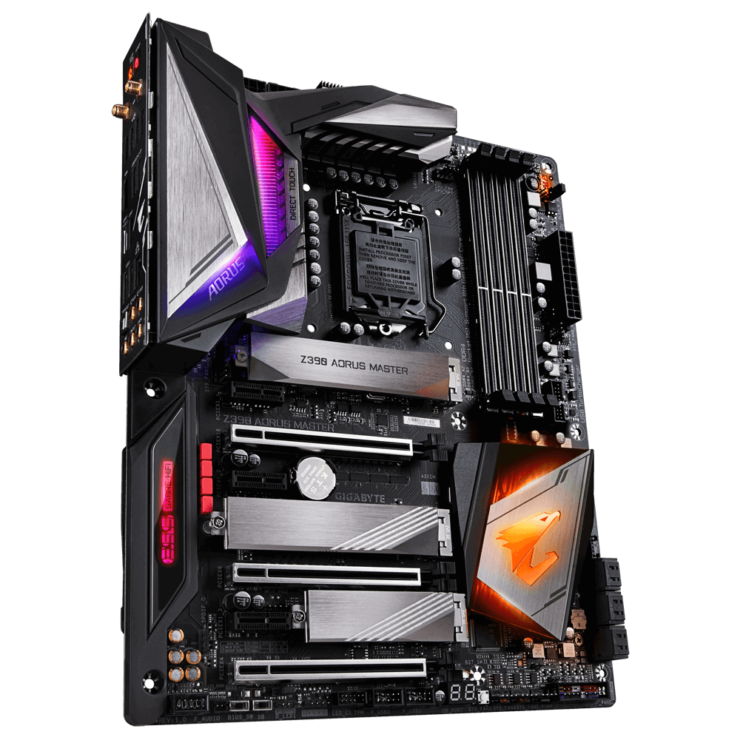 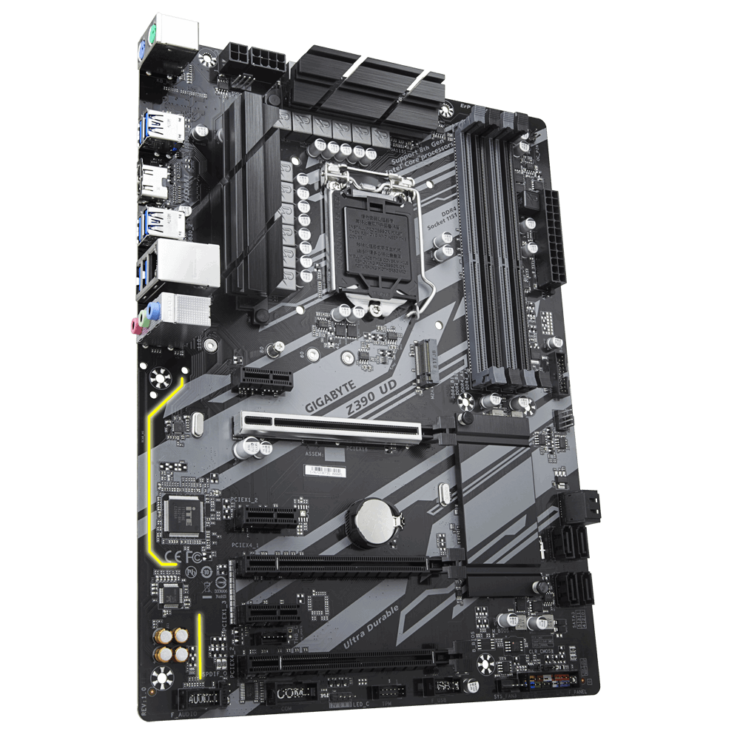 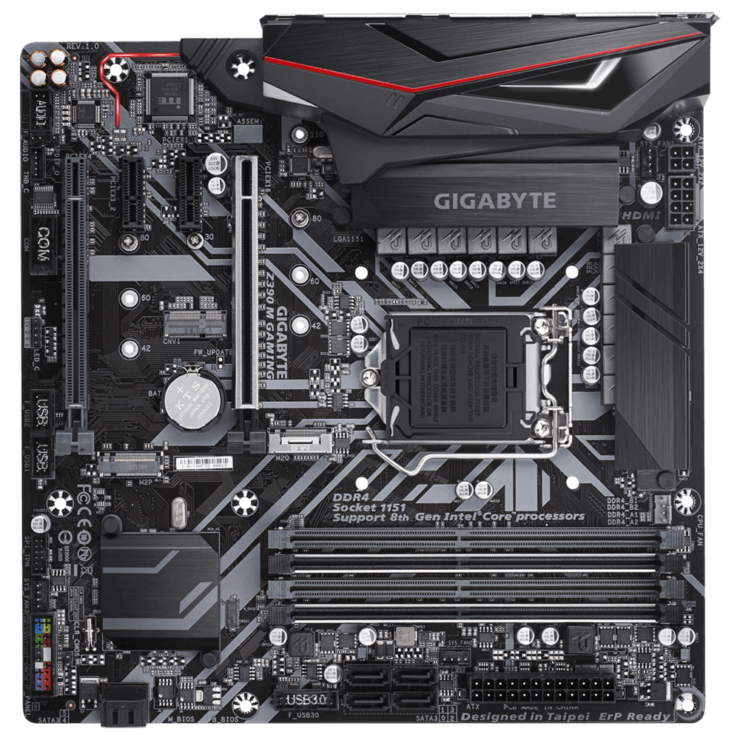 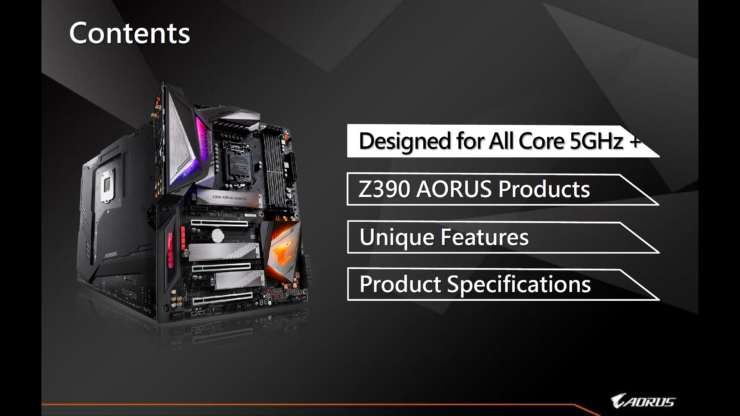 Gigabyte & AORUS are launching a total of 10 new motherboards on the launch day of the Z390 platform with the 11th motherboard being the AORUS Z390 Xtreme. 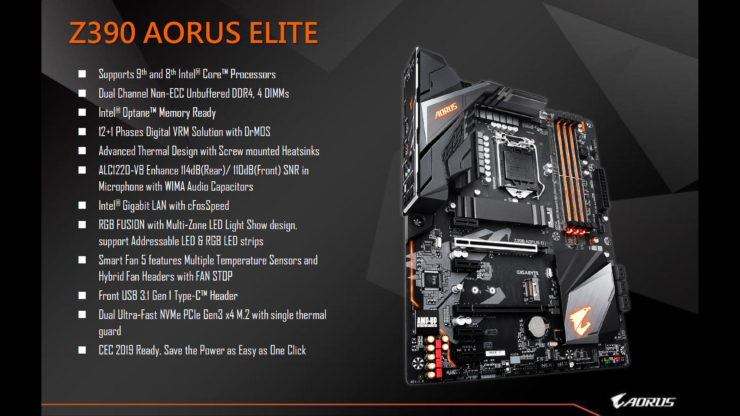 This motherboard will be launching on a later date but it is still something a lot of enthusiasts should look forward to as it’s one of the most premium motherboards under the AORUS brand. 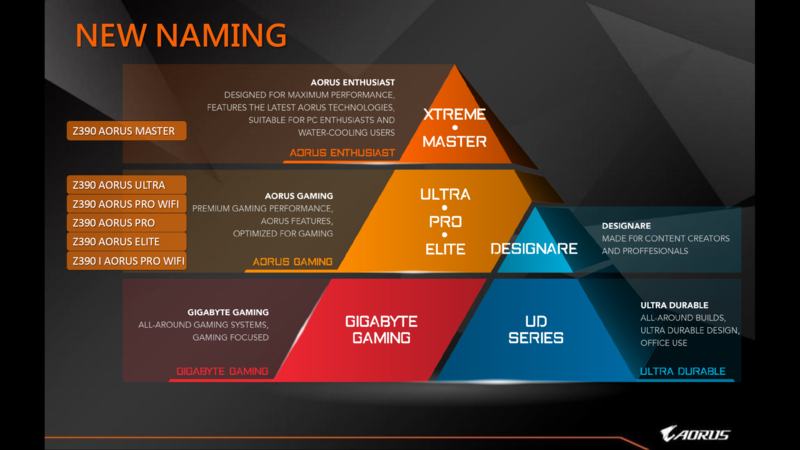 Gigabyte & AORUS boards fall within different categories as AORUS is the now the official enthusiast (High-End) gaming brand whereas Gigabyte serves the more mainstream side of things. 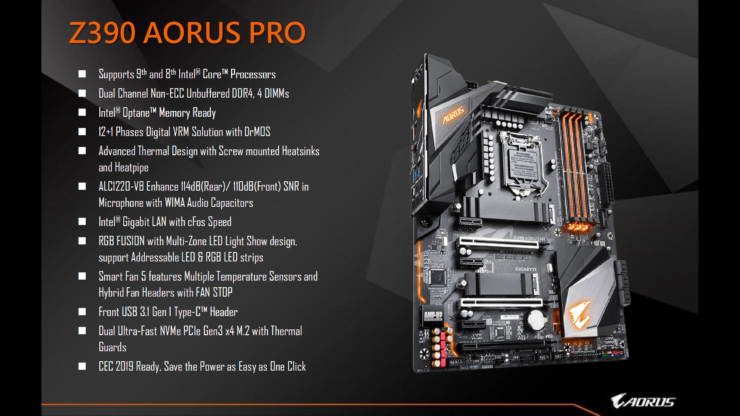 I think the motherboard that should be talked about here is the Z390 AORUS Xtreme, the Z390 AORUS Master and the Z390 I AORUS Pro. 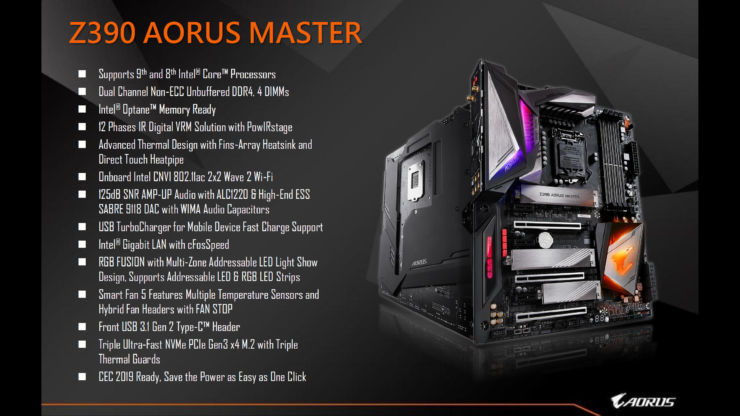 Starting off with the Z390 AORUS Master, we will be getting the most advanced AORUS design to date with the LGA 1151 socket supporting either 8th or 9th Gen processors. 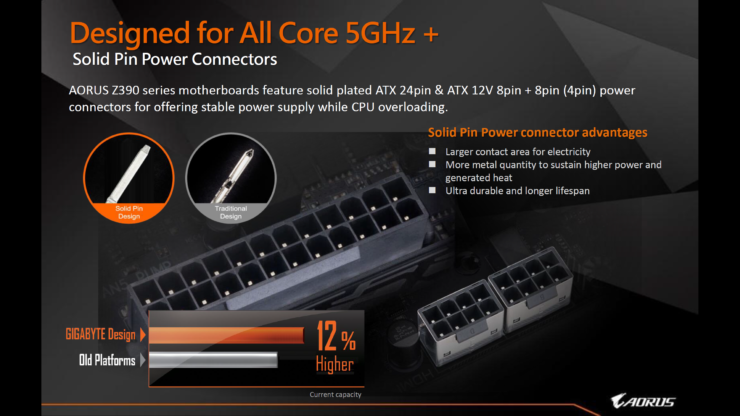 The CPU socket is powered by dual 8-pin connectors with a solid metal armor around them. 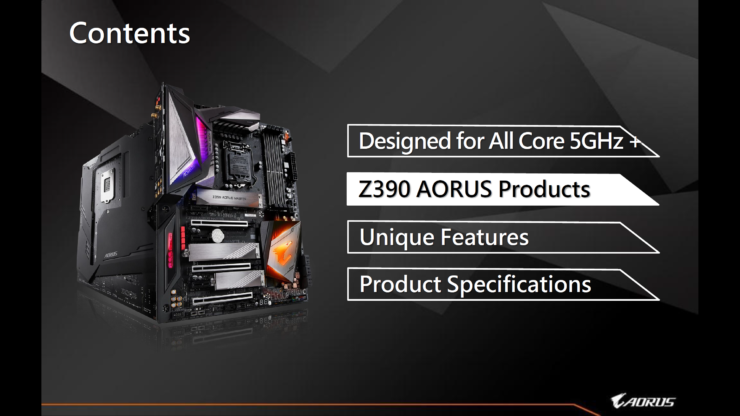 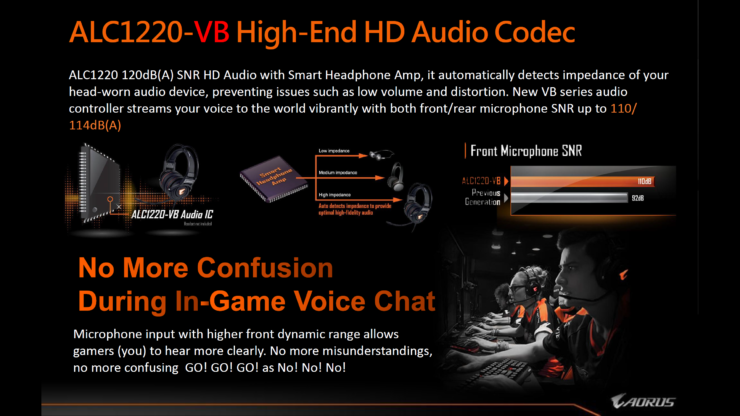 One crucial thing to note here is that the Z390 AORUS Master comes with a total of 12 IR Digital VRMs. 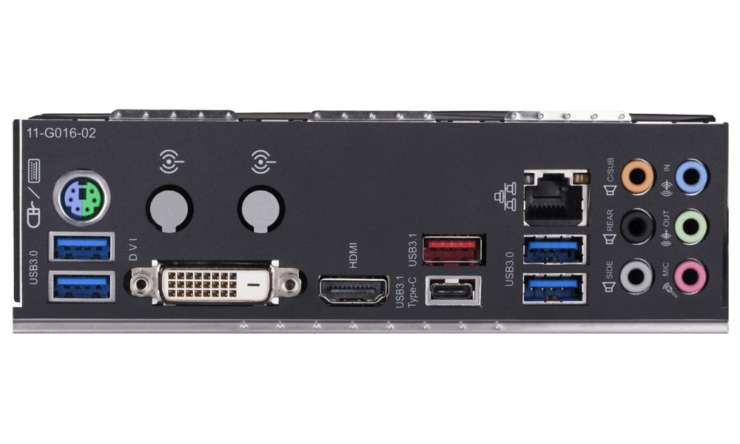 The PWM design includes 12 IR3553 40A MOSFETs and 6 IR3599 Phase Doublers. 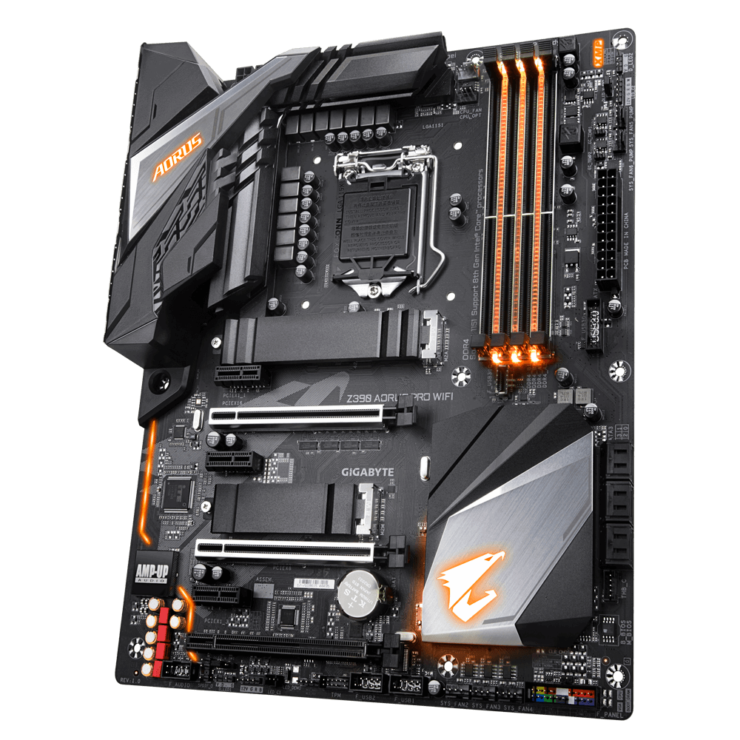 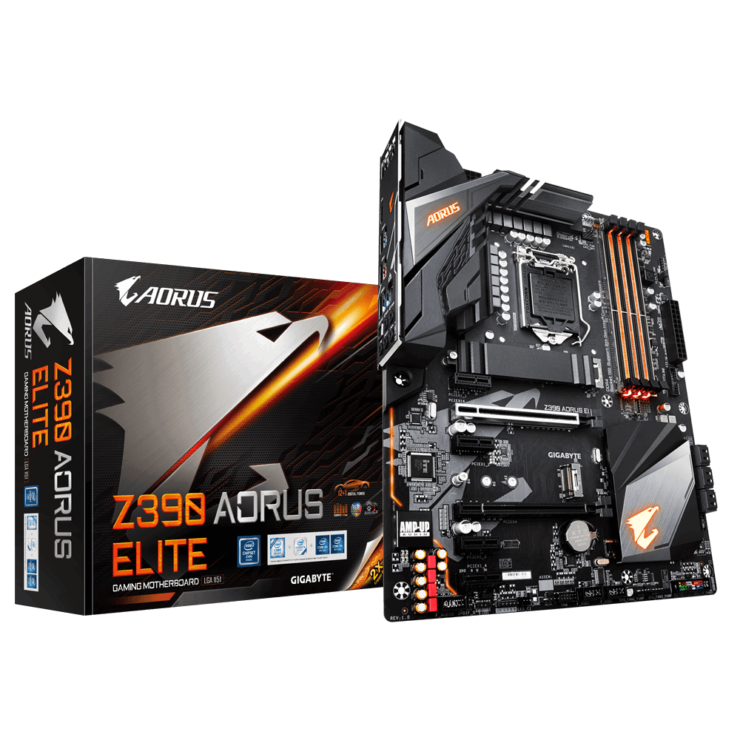 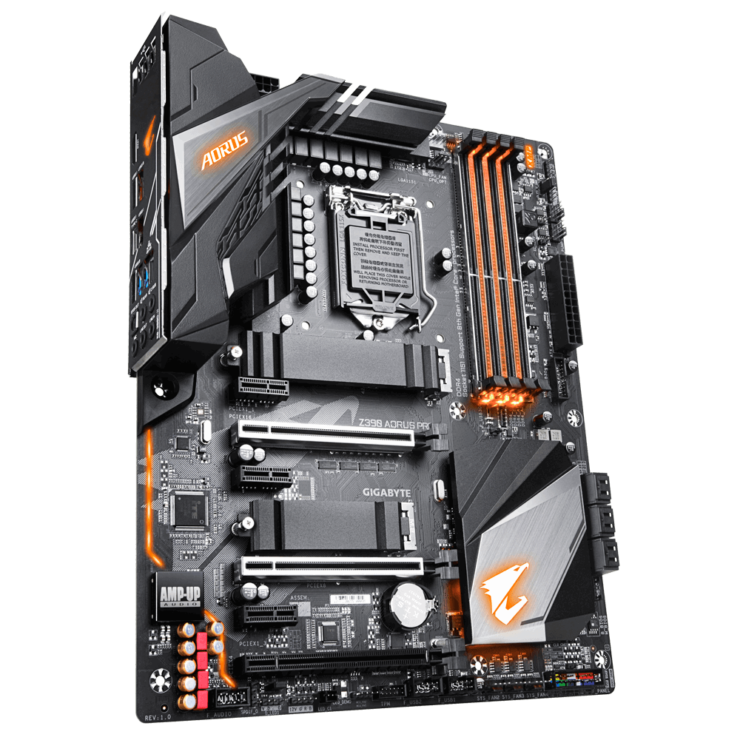 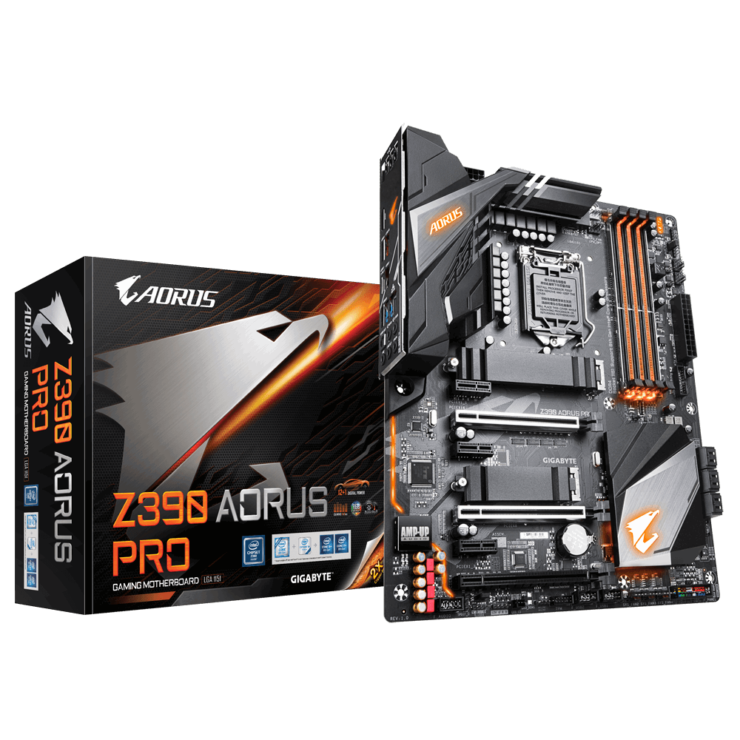 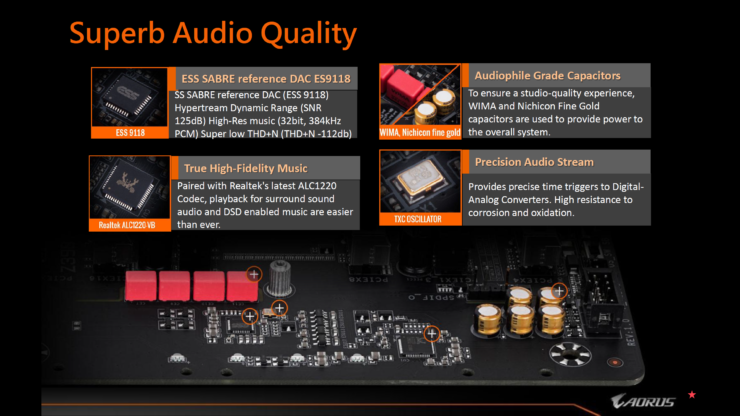 The one on the Z390 AORUS Xtreme is an even higher end, rocking a 16 phase design (TDA21462 60A) and 8 Phase Doublers. 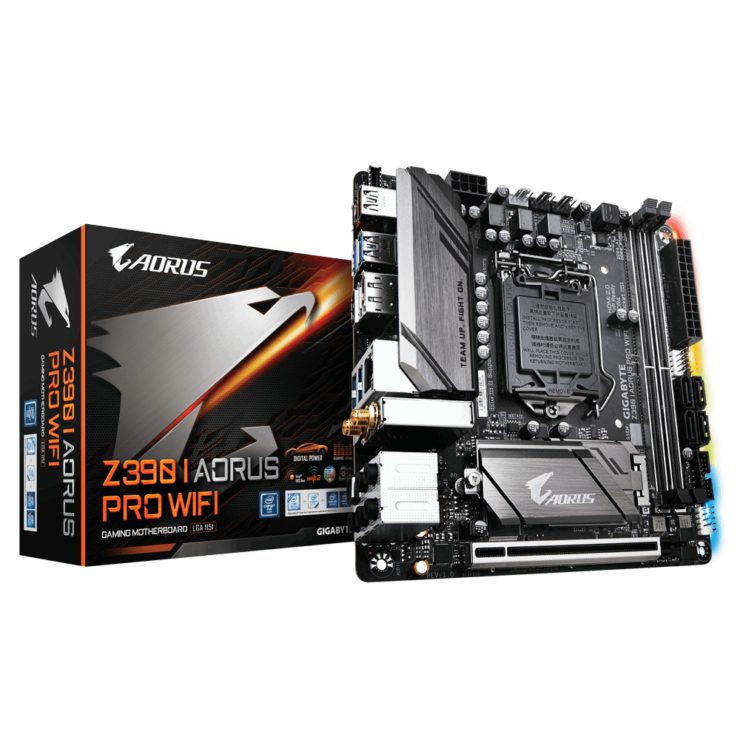 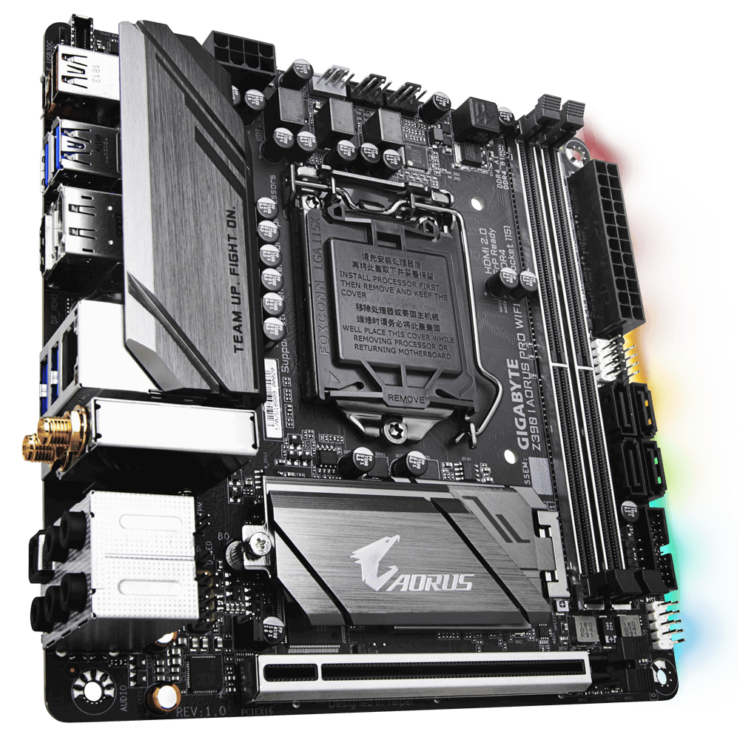 The only other board to use International Rectifier components is the Z390 AORUS I Pro WiFi which has a 6 phase design IR35201 PWM unit (IR3553 40A MOSFETs) but no Doublers like the high-end models. 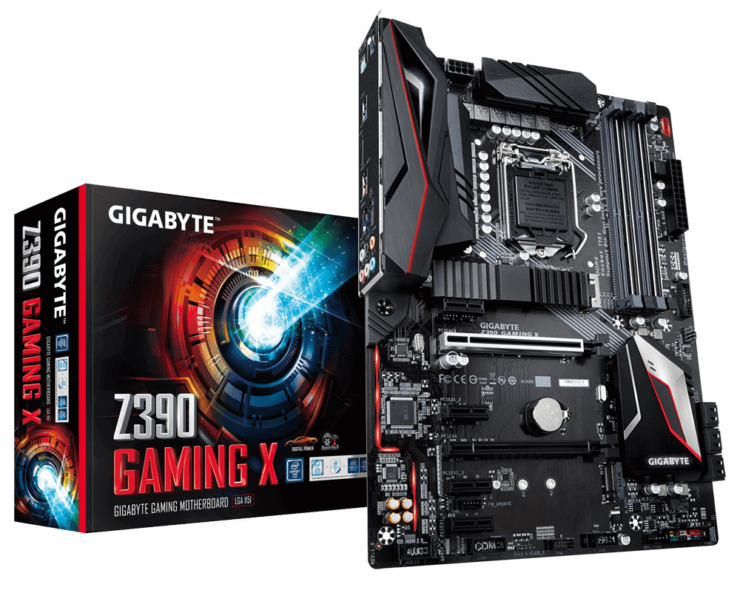 All of these motherboards should ensure top-notch overclocking and the best stability on unlocked 9th and 8th Gen processors. 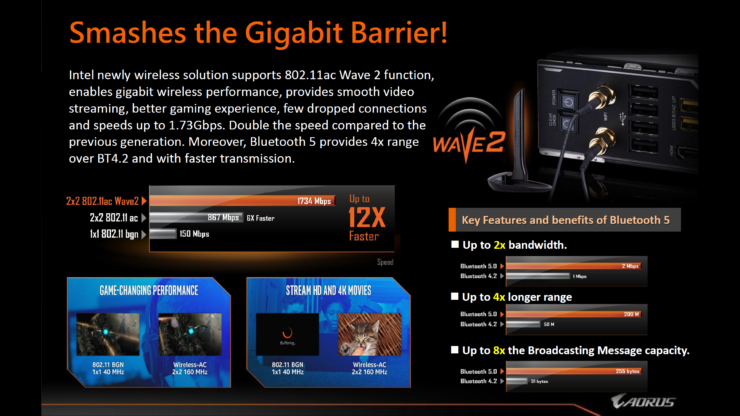 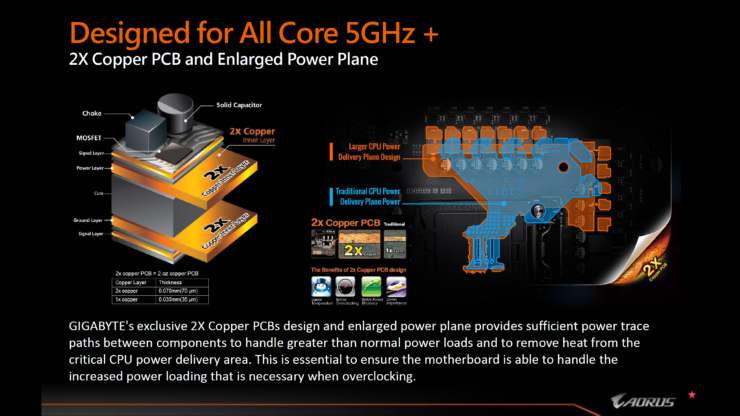 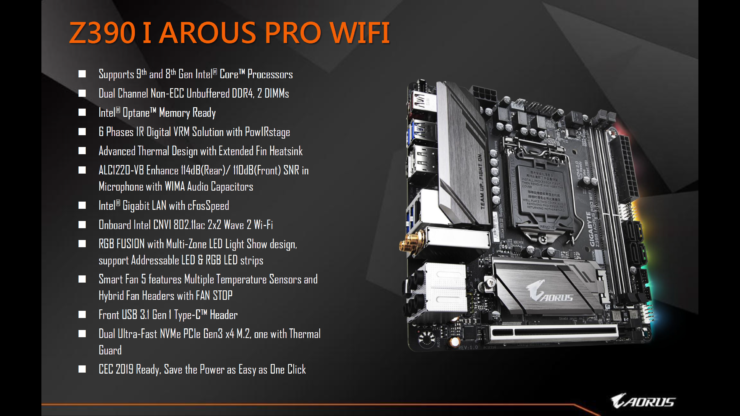 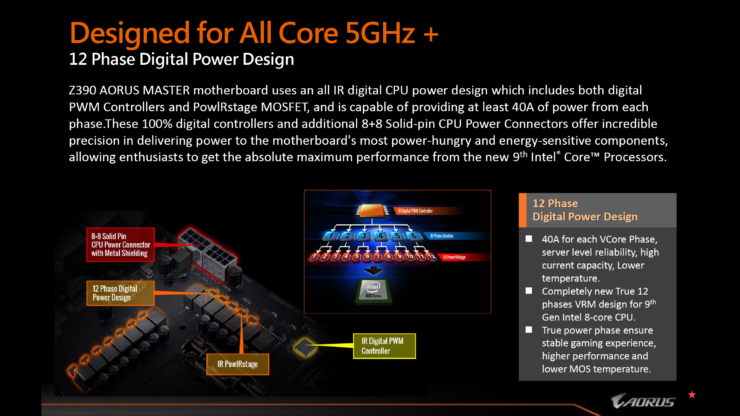 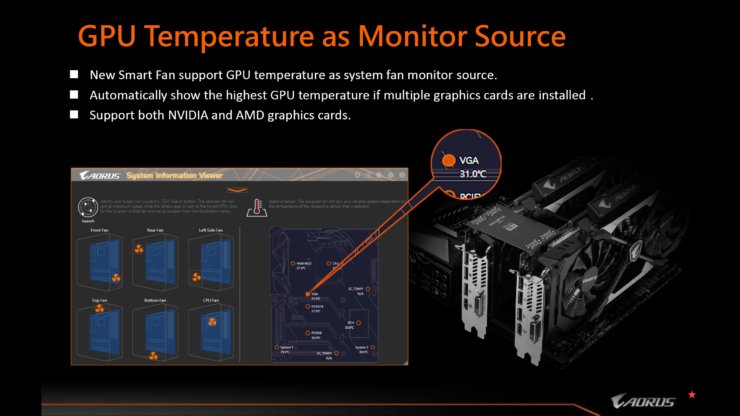 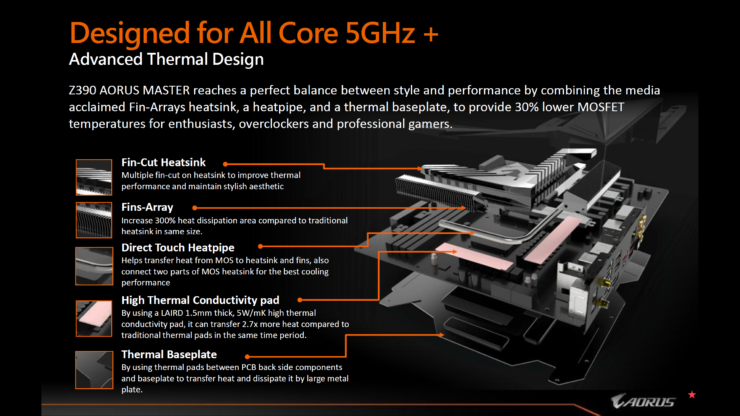 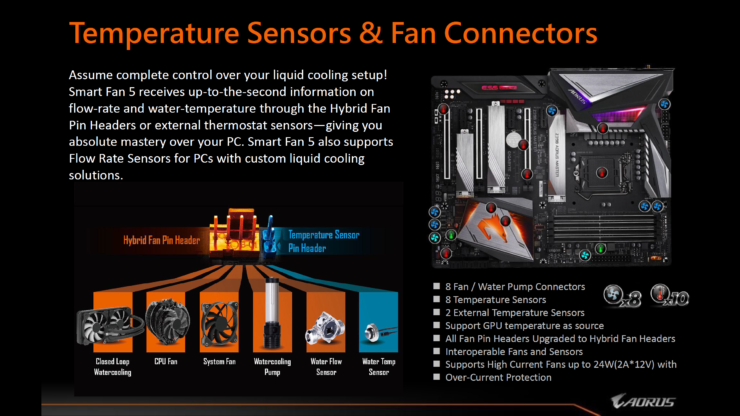 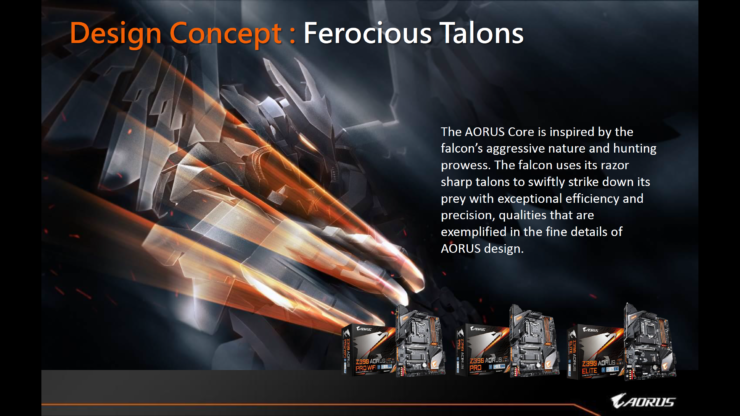 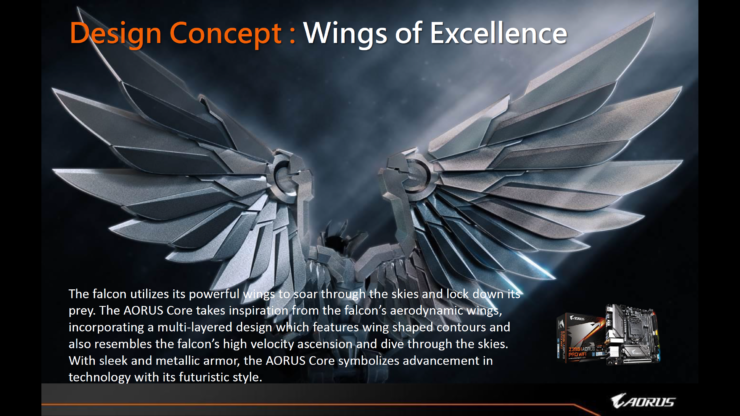 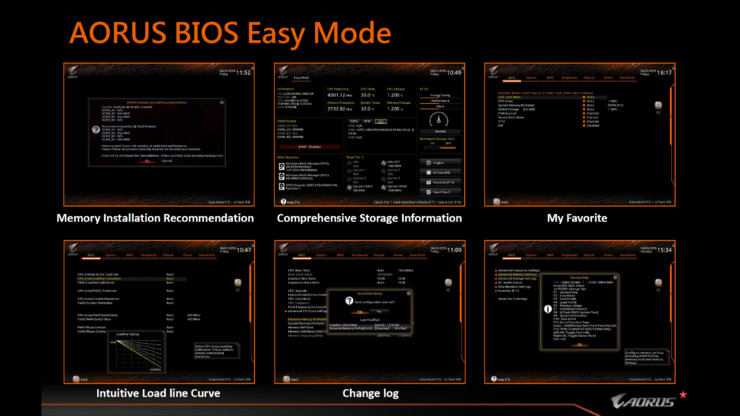 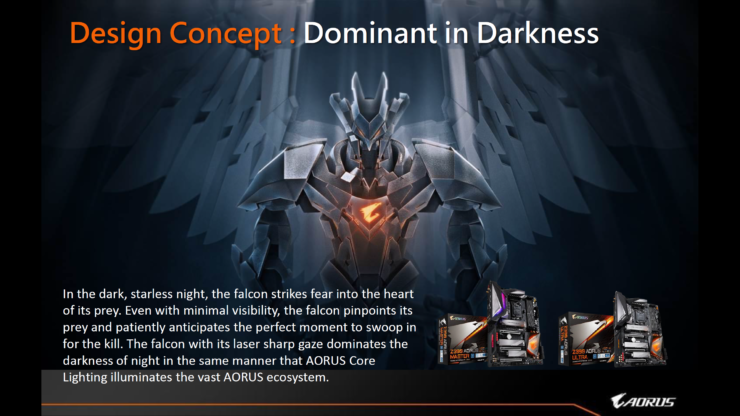 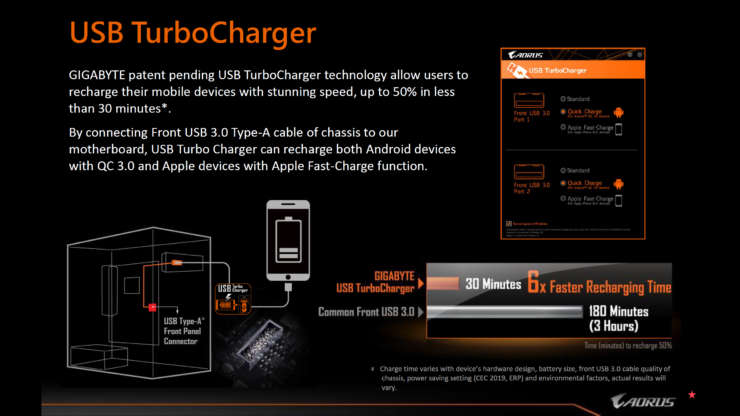 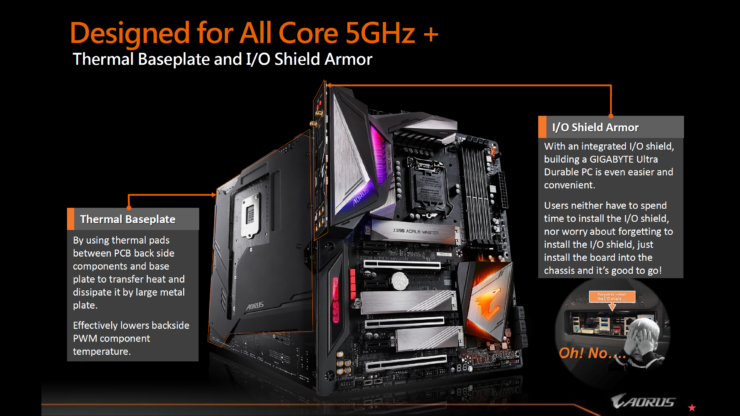 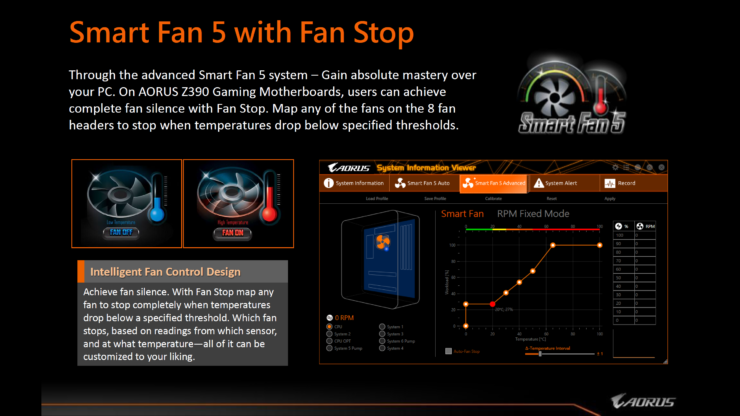 AORUS themselves state that the boards will offer 5 GHz+ overclocking capabilities across all 8 cores. 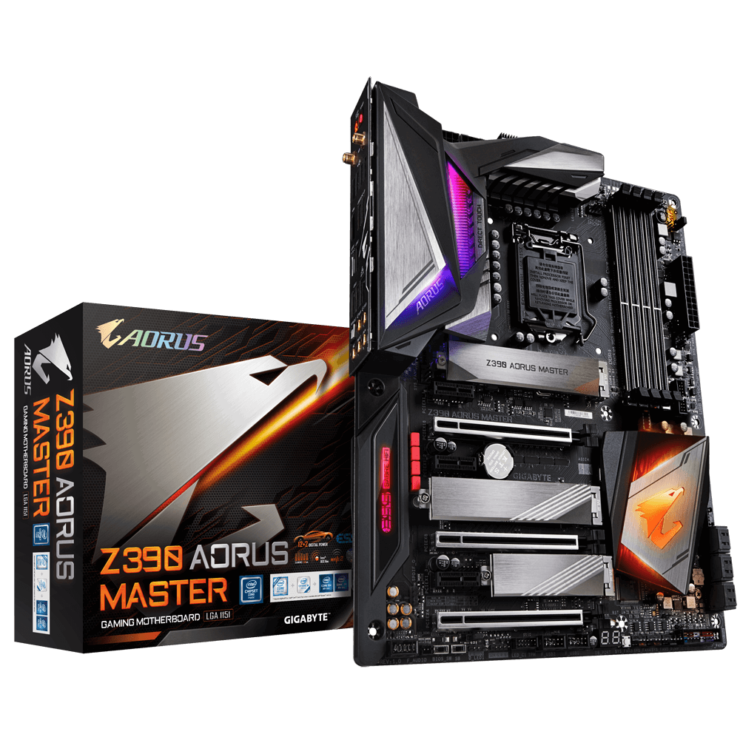 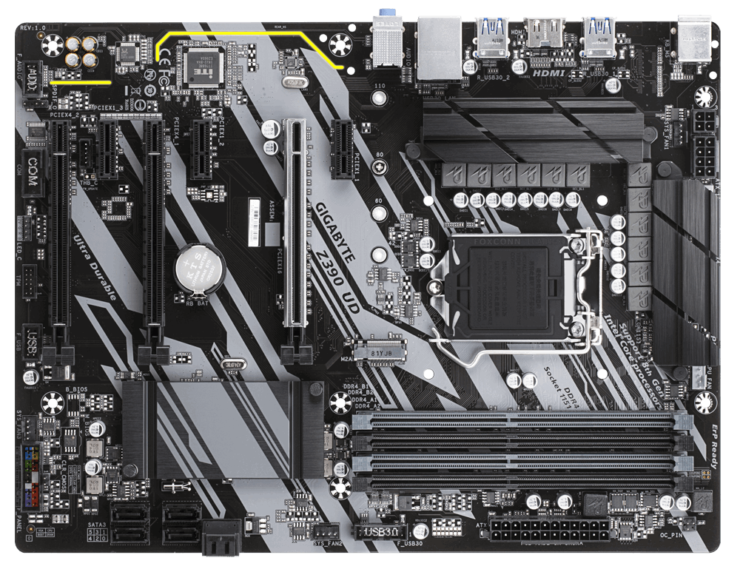 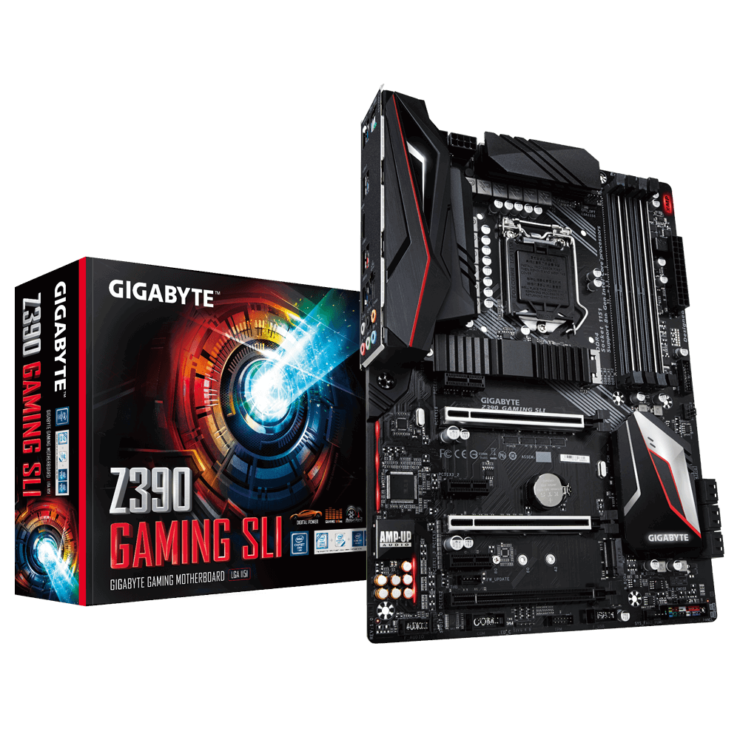 The top tier motherboards come with Direct Touch heatsinks that make use of a large aluminum fin array and embedded heat pipes for the best cooling performance on an Intel Z390 platform. 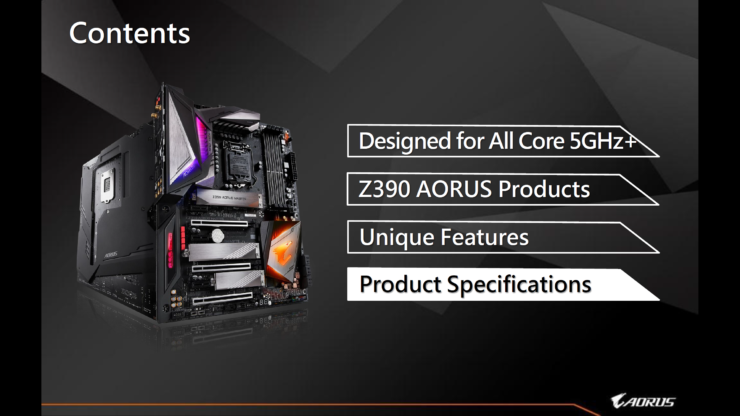 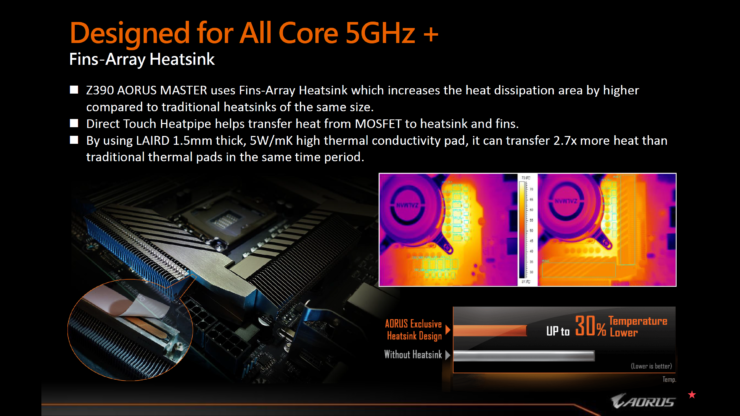 AORUS is the only motherboard vendor to offer fin stack cooling heatsinks across all platforms such as Z390, X470, and X399. 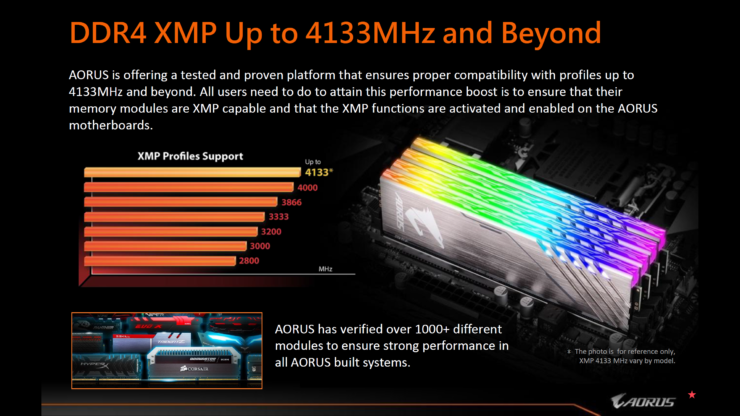 Four DDR4 DIMM slots offer support for up to 64 GB of memory support at speeds of 4400 MHz (OC+) on the AORUS Z390 Master. 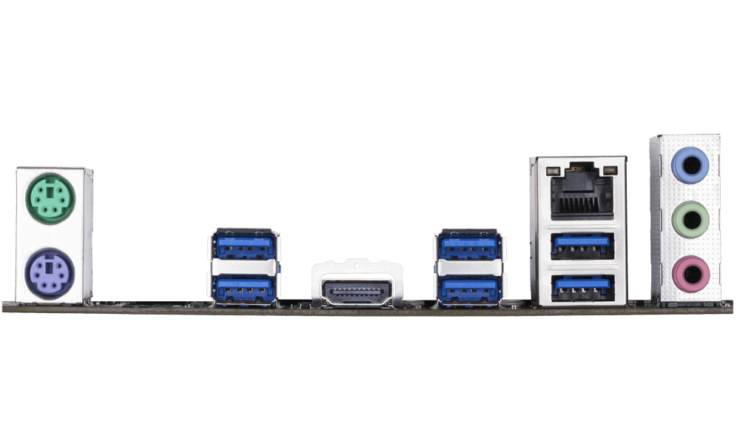 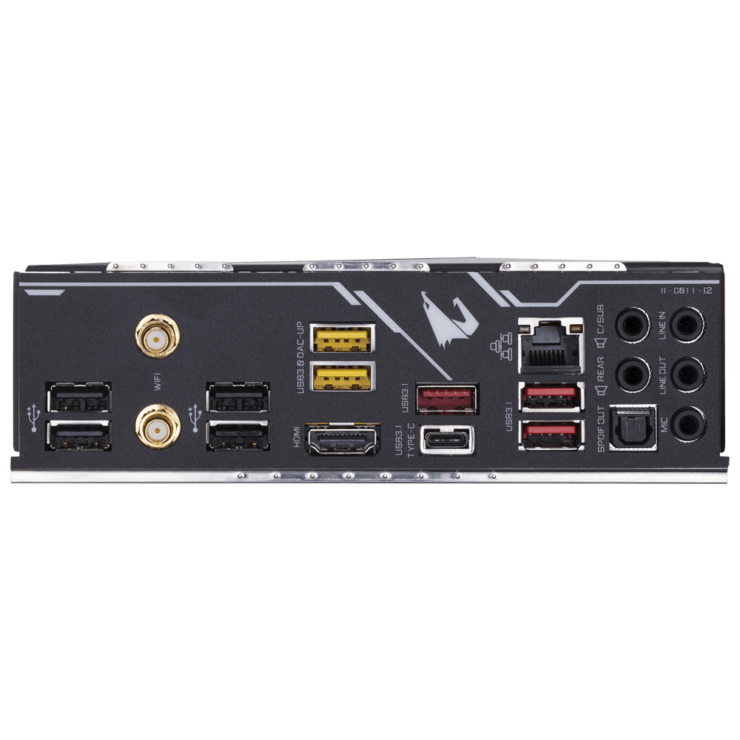 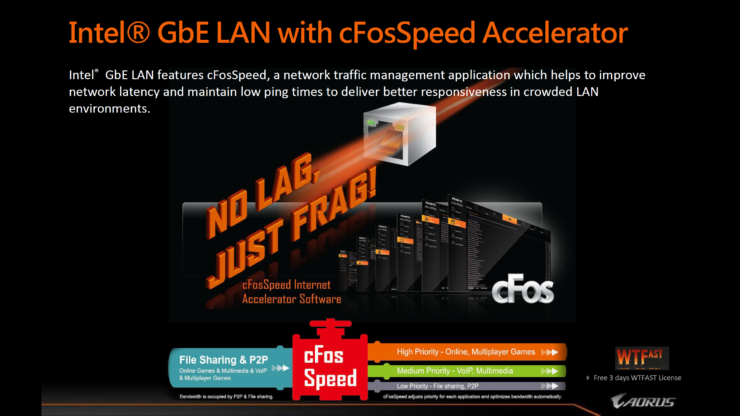 Storage includes six SATA III ports while expansion capabilities include three PCIe 3.0 x16 (x16/x8/x4 electrical), three PCIe x1 slots and three M.2 slots. 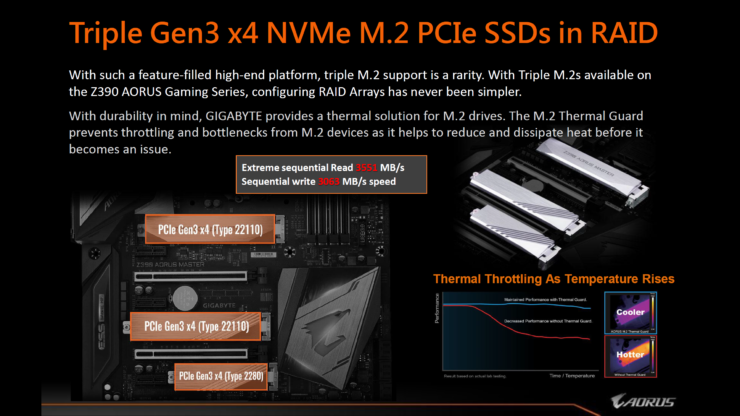 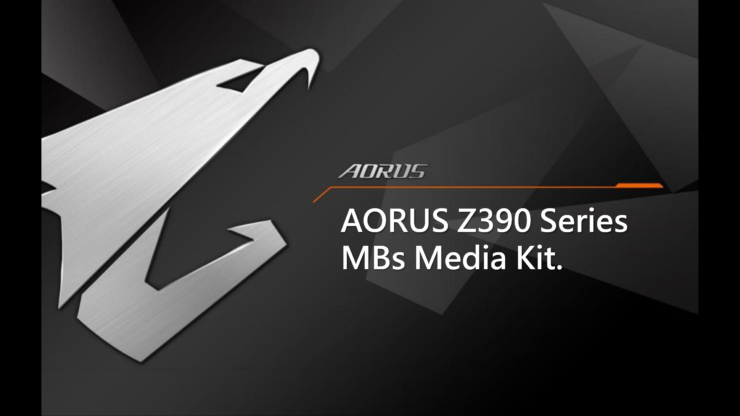 All three M.2 slots are covered by the AORUS M.2 shield which looks fantastic and has a thermal pad beneath to keep your high-end M.2 storage device running in a stable operation. 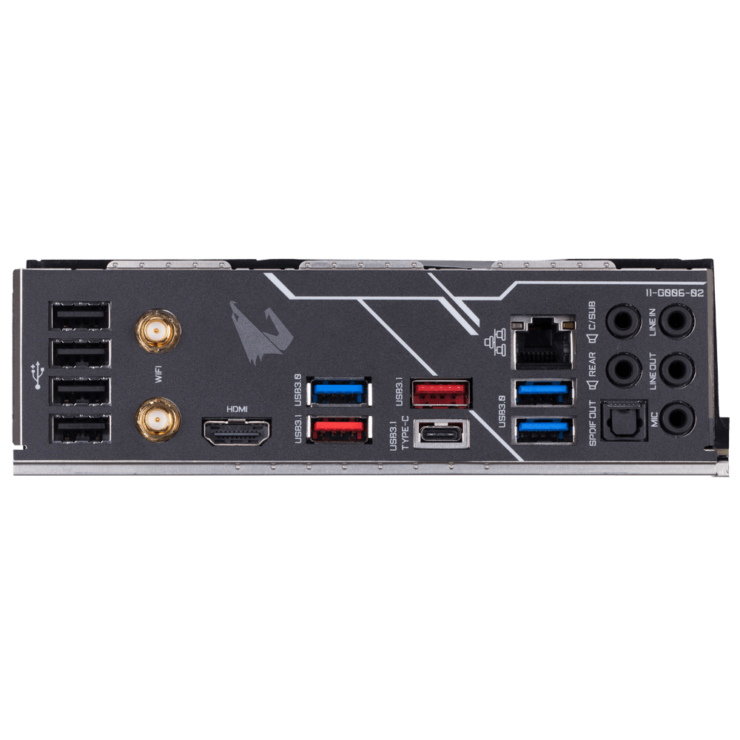 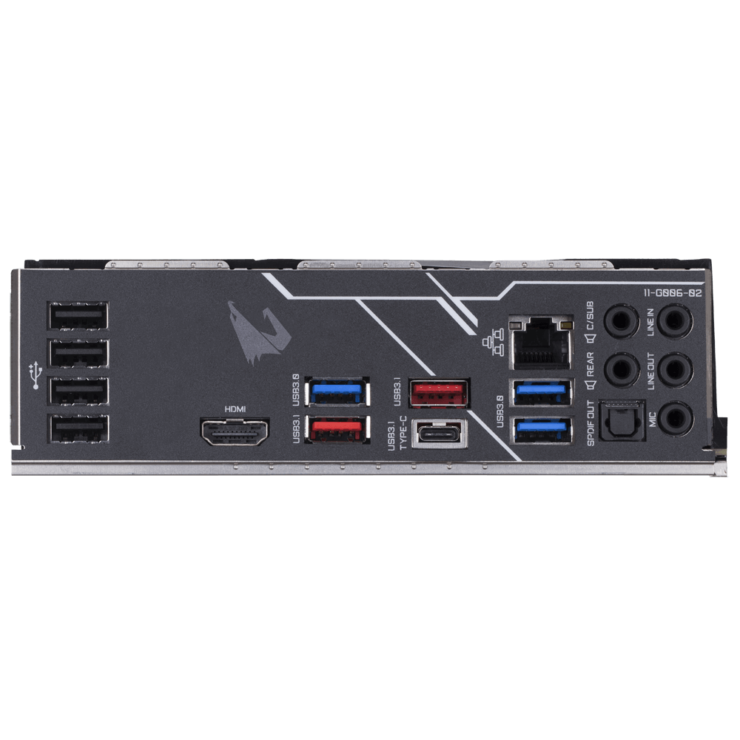 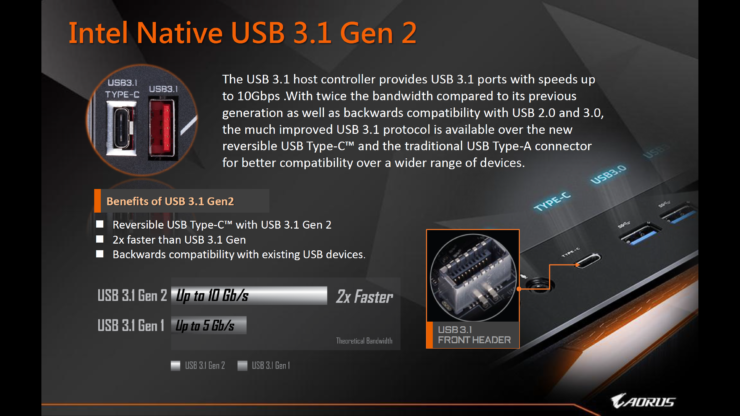 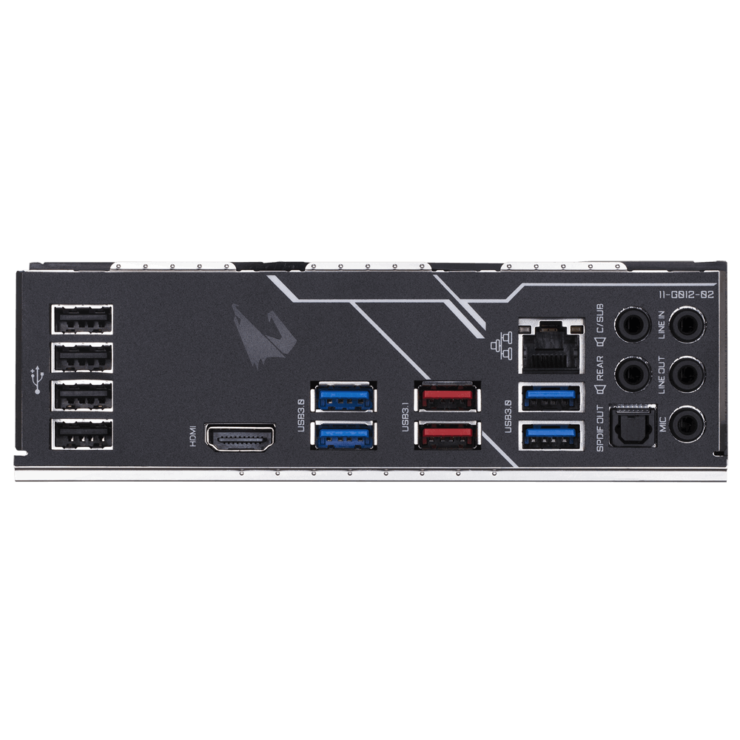 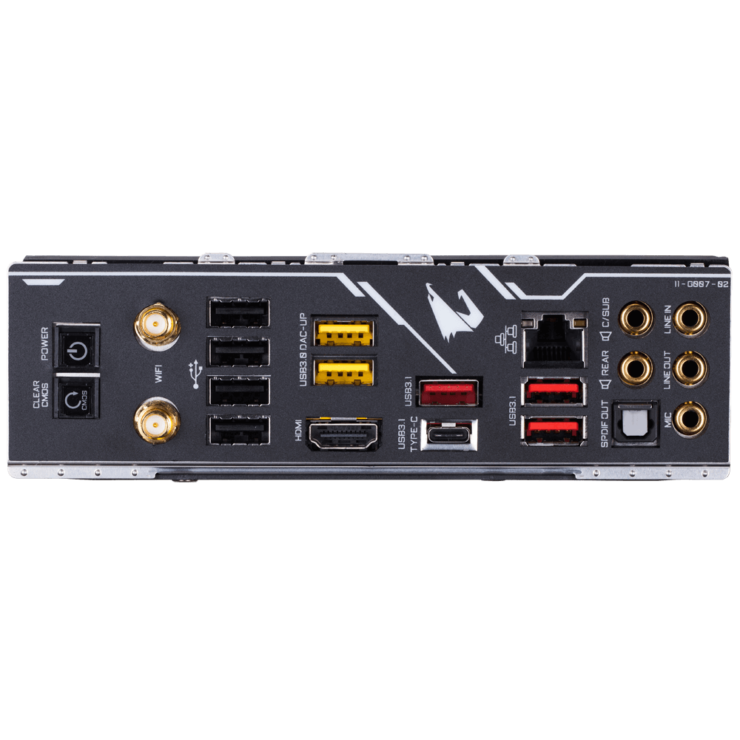 I/O on the AORUS Z390 Master includes 2 USB 3.1 Gen 2 (Type-C) ports, 3 USB 3.1 Gen 2 (Type-A) ports, 4 USB 3.1 Gen 1 ports and 8 USB 2.0 ports. 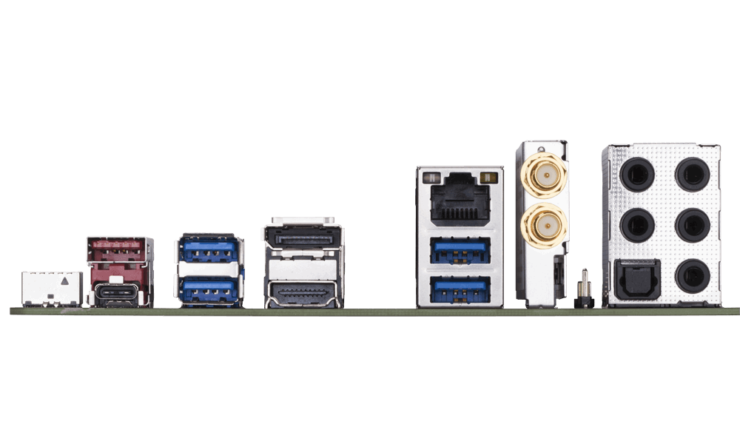 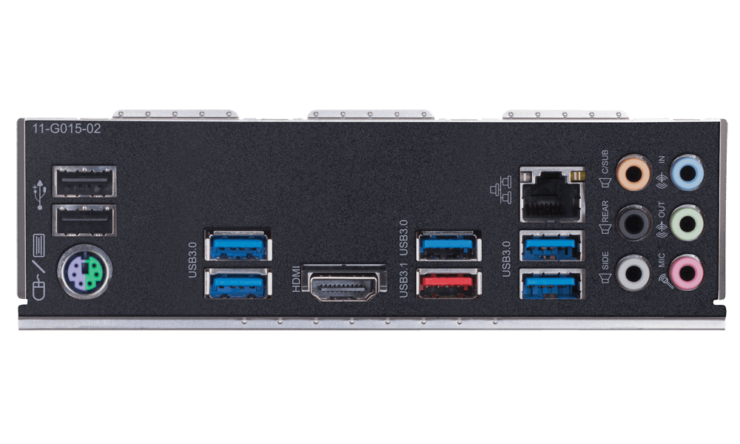 On the rear panel, you can find 1 USB 3.1 Gen 2 (Type-C) ports, 3 USB 3.1 Gen 2 (Type-C) ports, 2 USB 3.1 Gen 1 ports and 4 USB 2.0 ports from the ones mentioned above, the rest are used as internal connectors for front panel support. 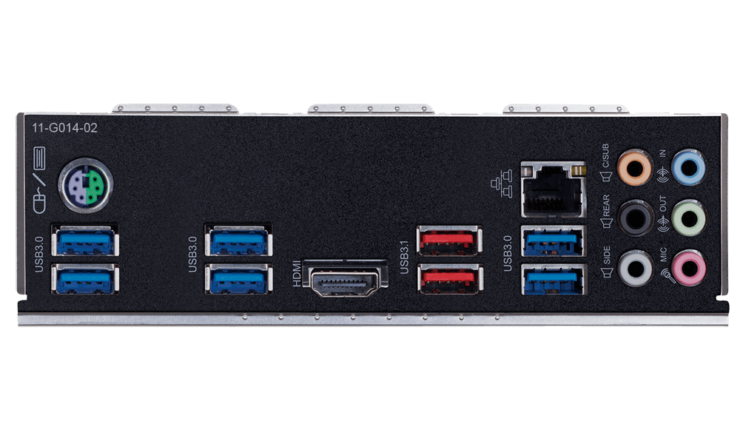 Other I/O includes a power reset button, a clear CMOS button, 2 SMA antenna connectors which use the Intel CNVi interface 802.11a/b/g/n/ac, supporting 2.4/5 GHz Dual-Band and Bluetooth v5.0 with up to 1.73 Gbps transfer rates, 1 HDMI port, 1 RJ-45 (Intel Gigabit) Ethernet LAN port, 1 SPDIF optical out port and a 5 channel HD audio jack (ALC1220-VB & ESS SABRE 9118 DAC). 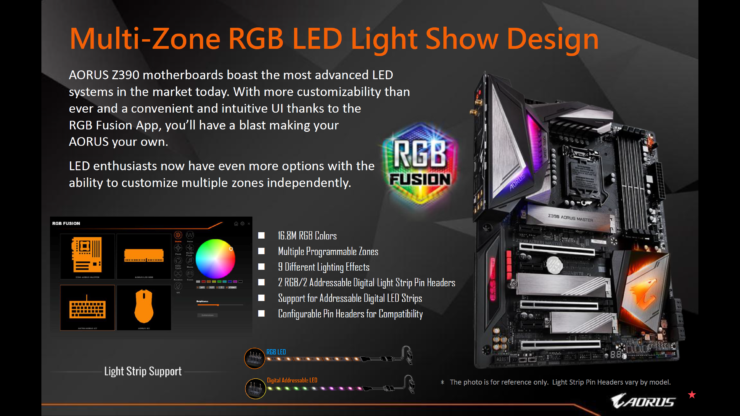 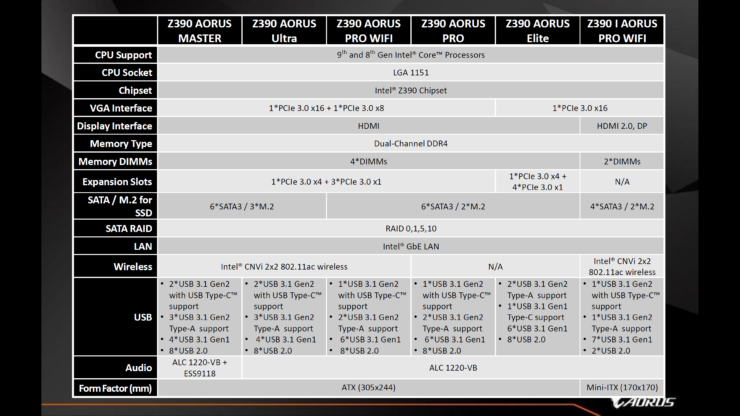 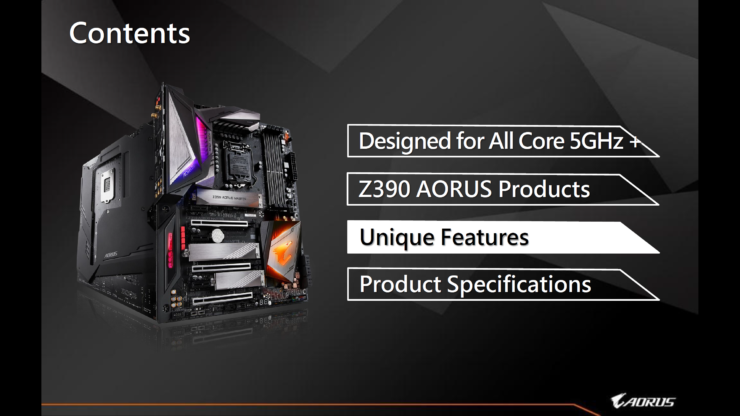 Full specifications of the entire Gigabyte & AORUS Z390 lineup can be seen in the table below.